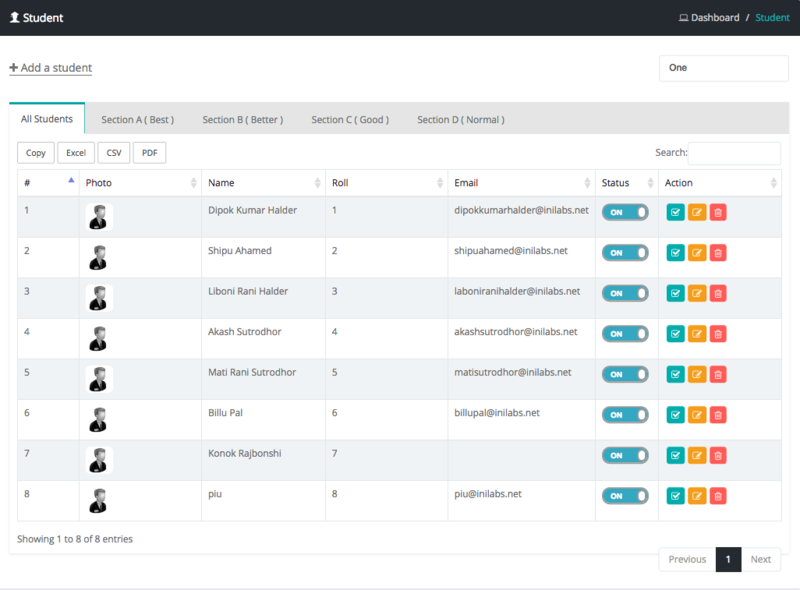 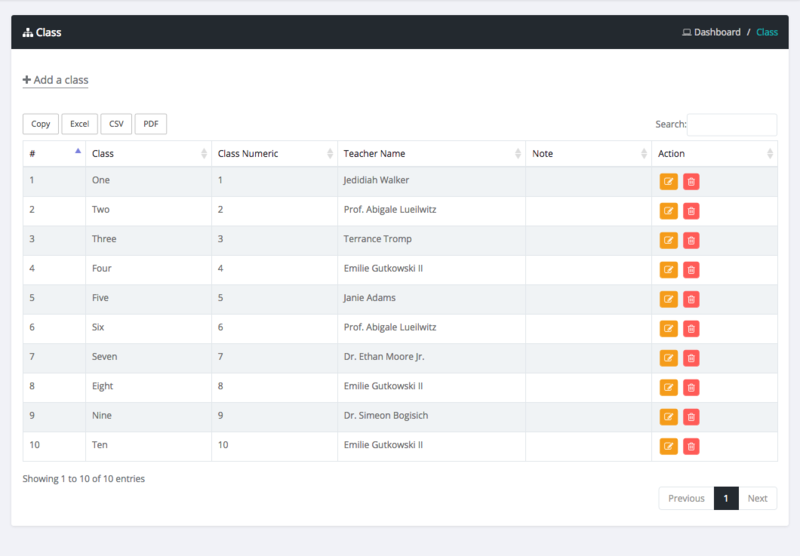 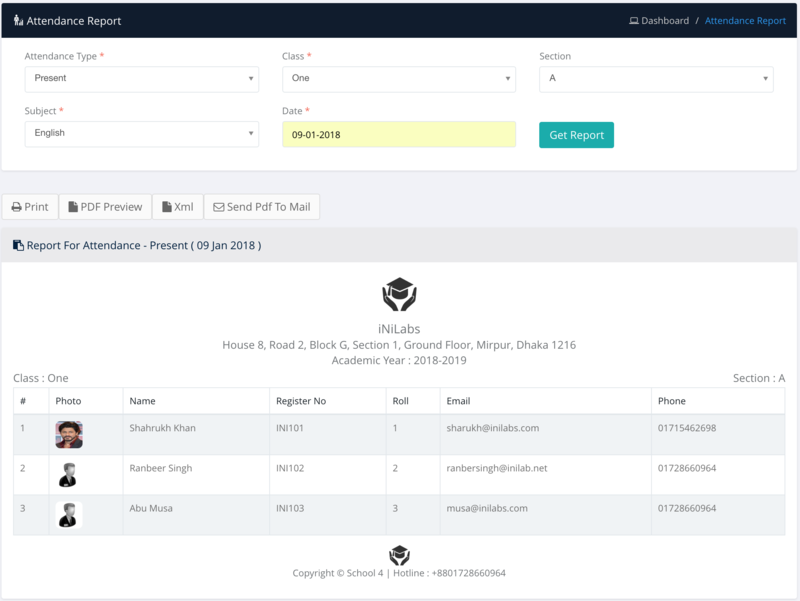 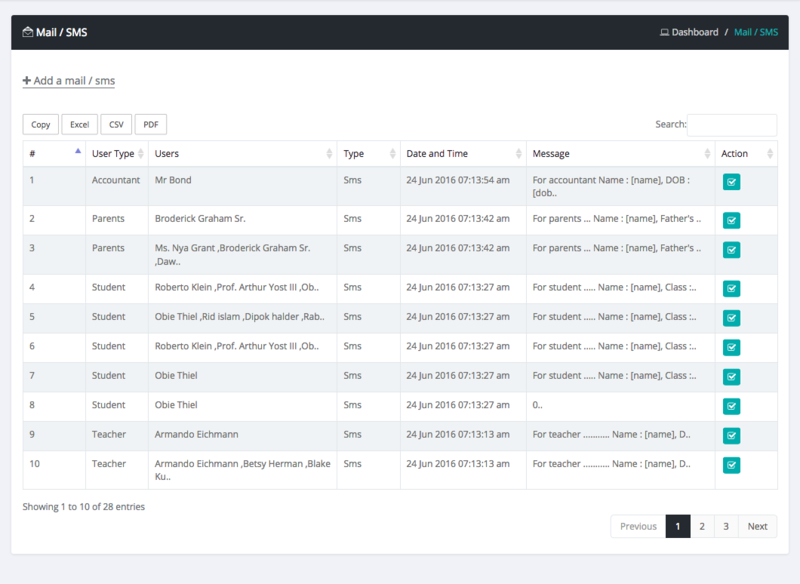 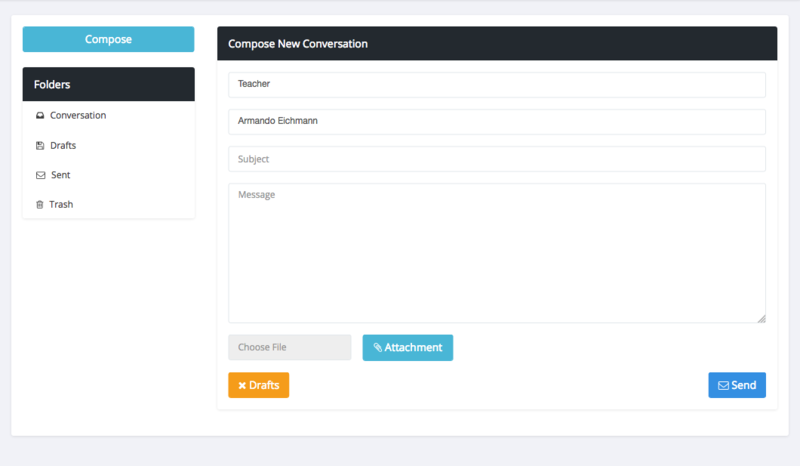 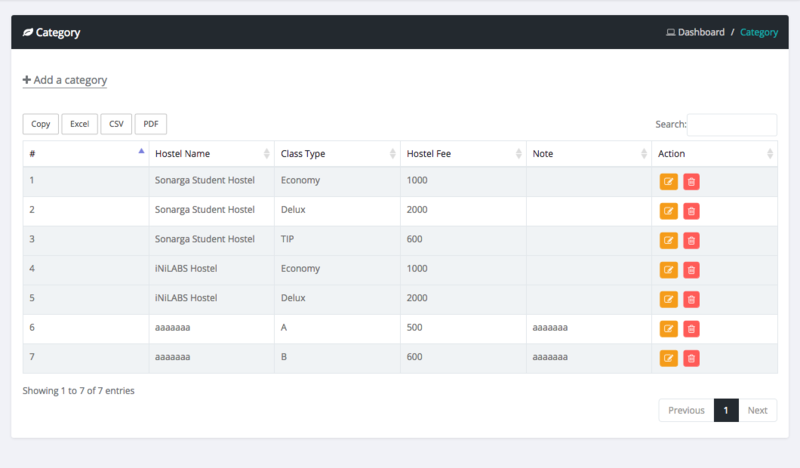 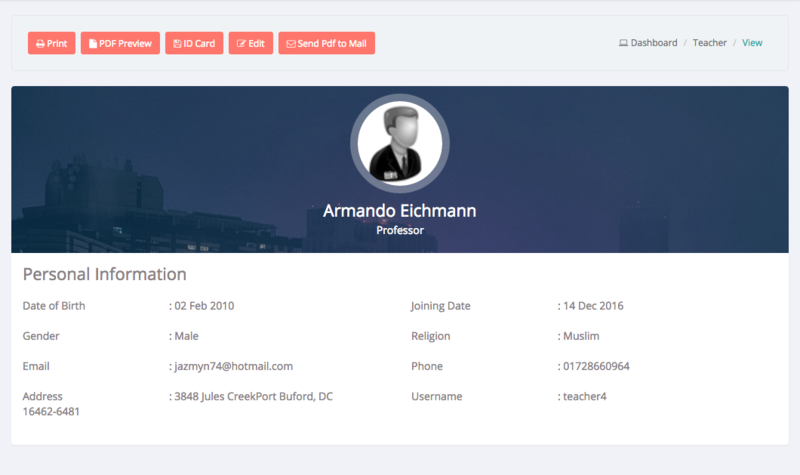 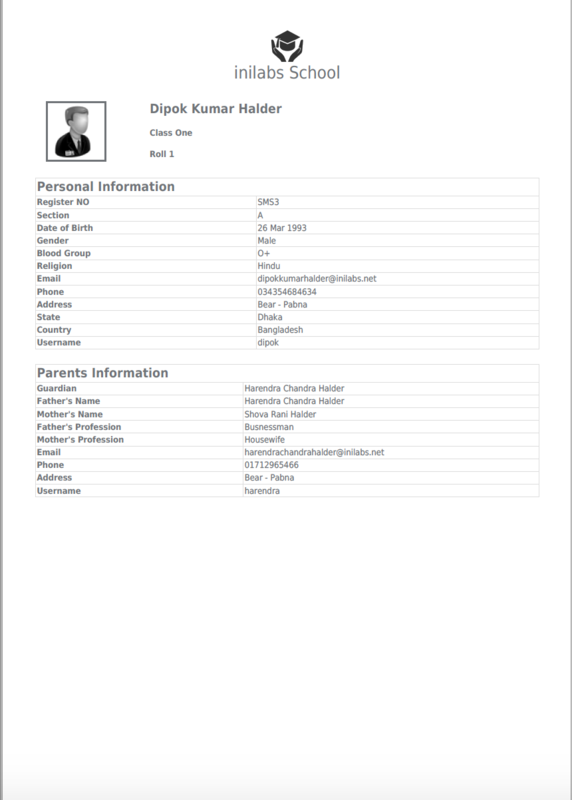 If you searching for a tools that helps you to manage your school database then you are at the right place. 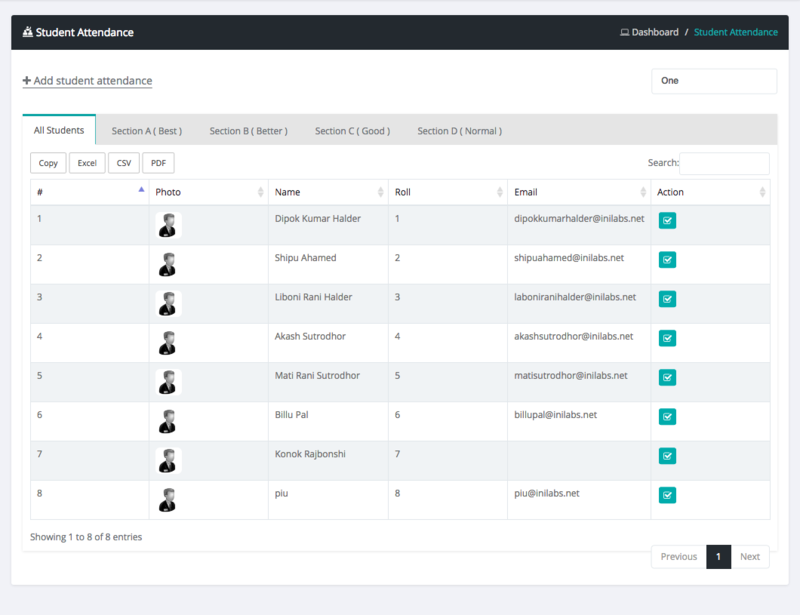 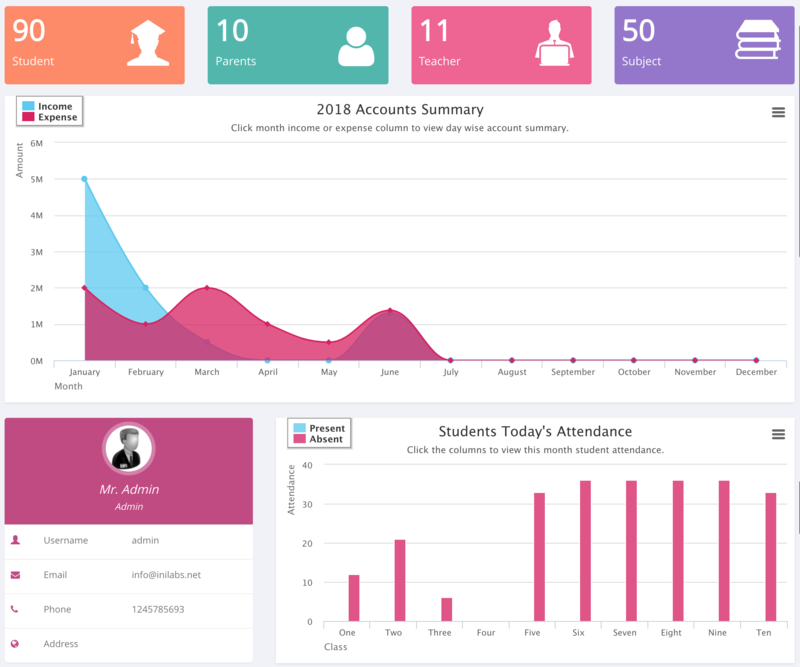 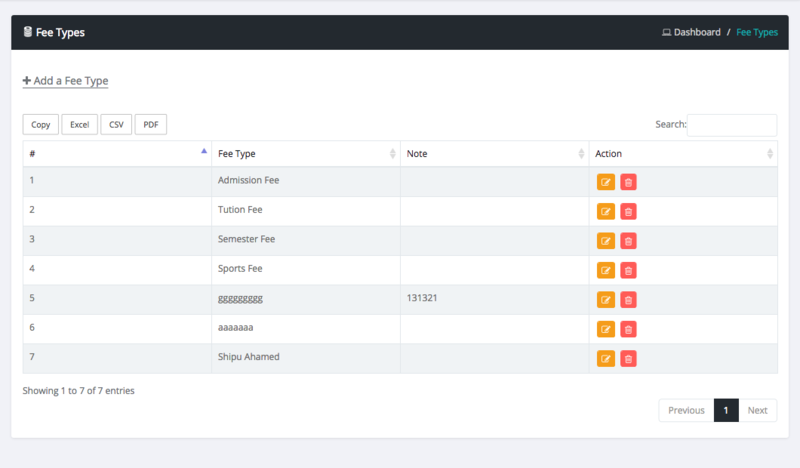 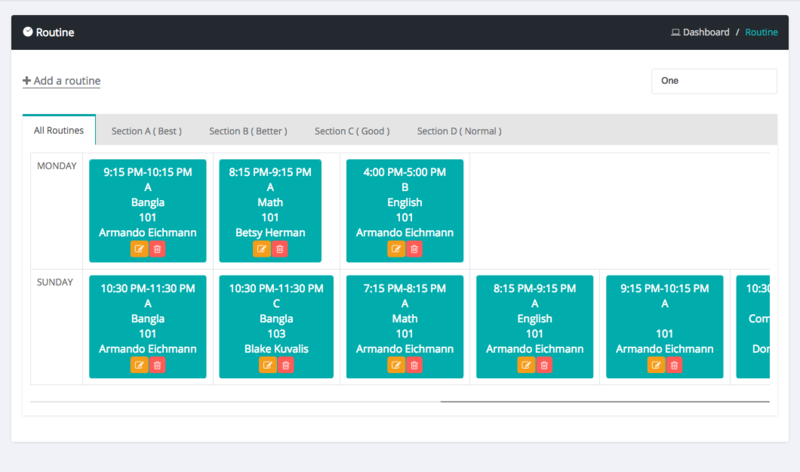 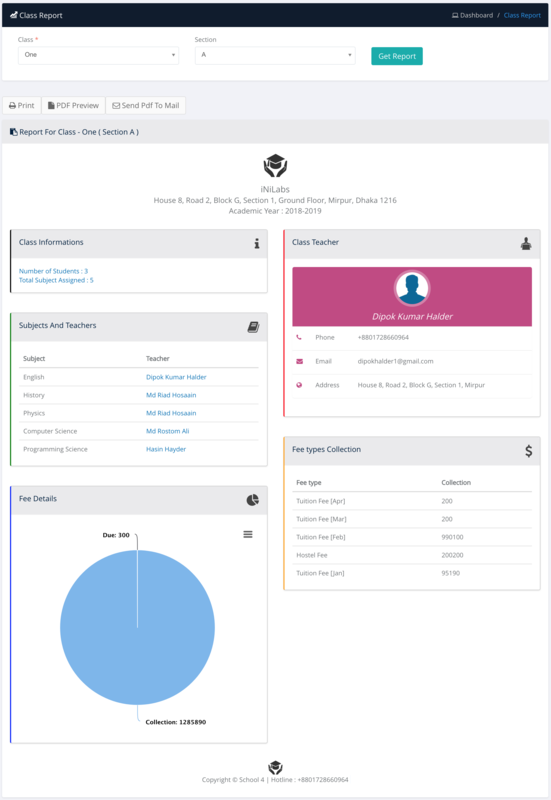 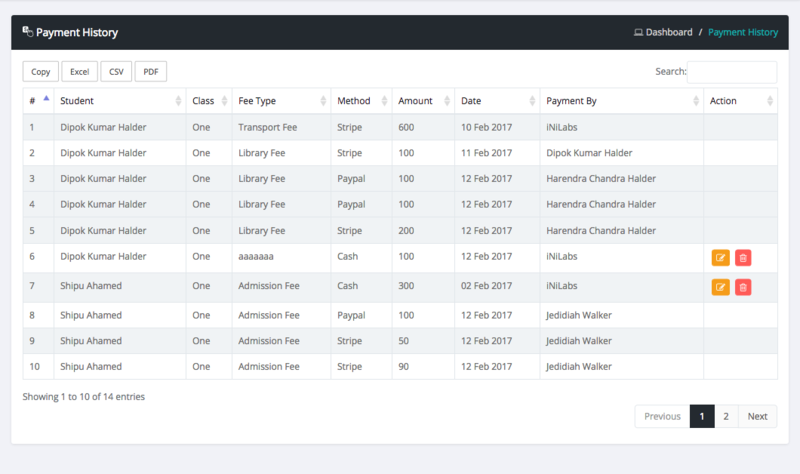 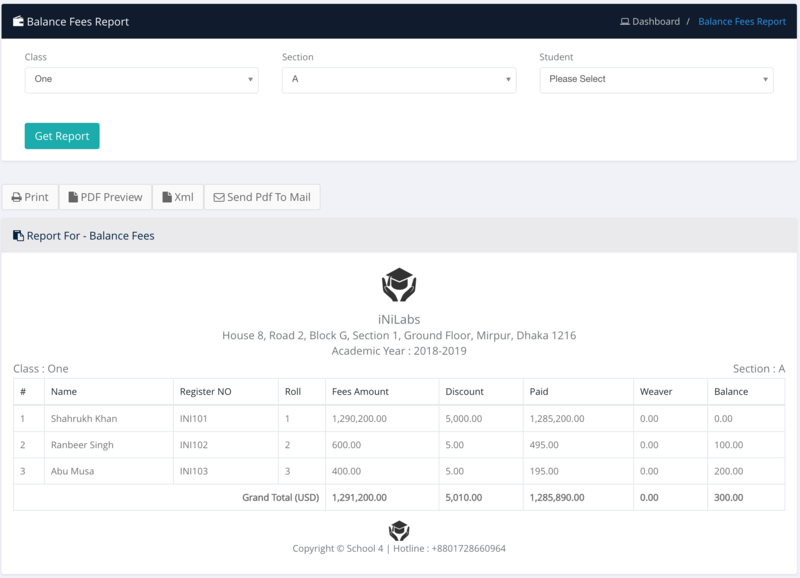 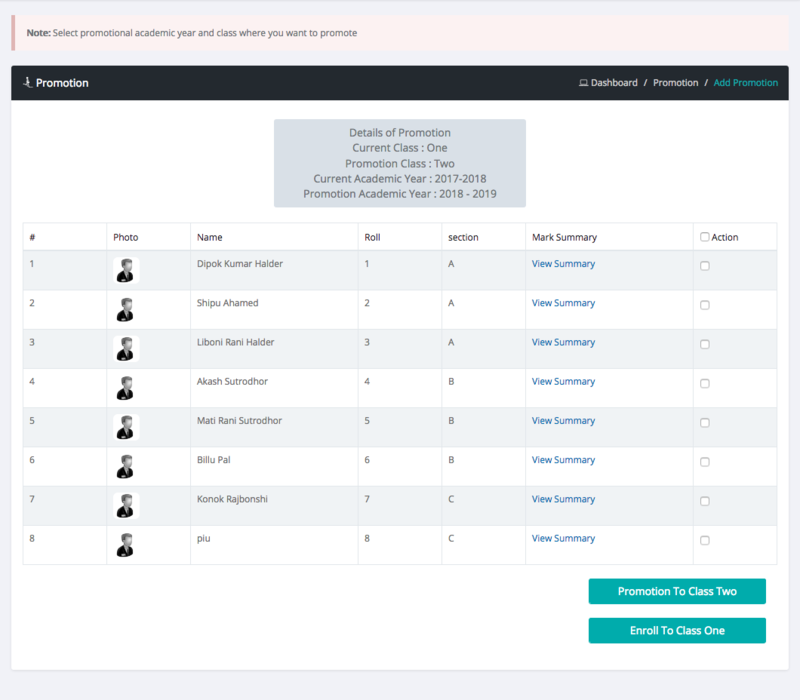 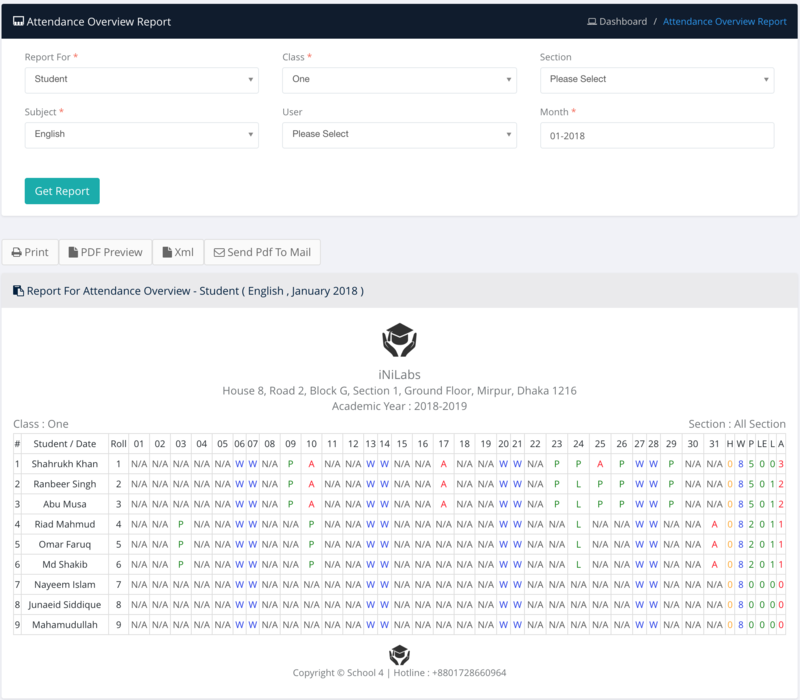 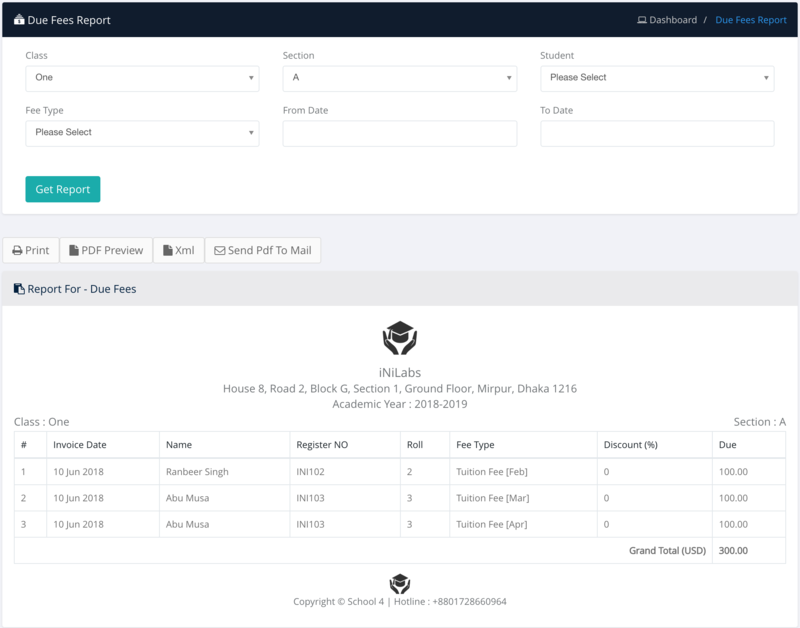 Managing an entire school is not so easy task and there are lots of systems available around that can use to manage strong admission, enrollment, courses, accounts, communication, student monitoring and for others. 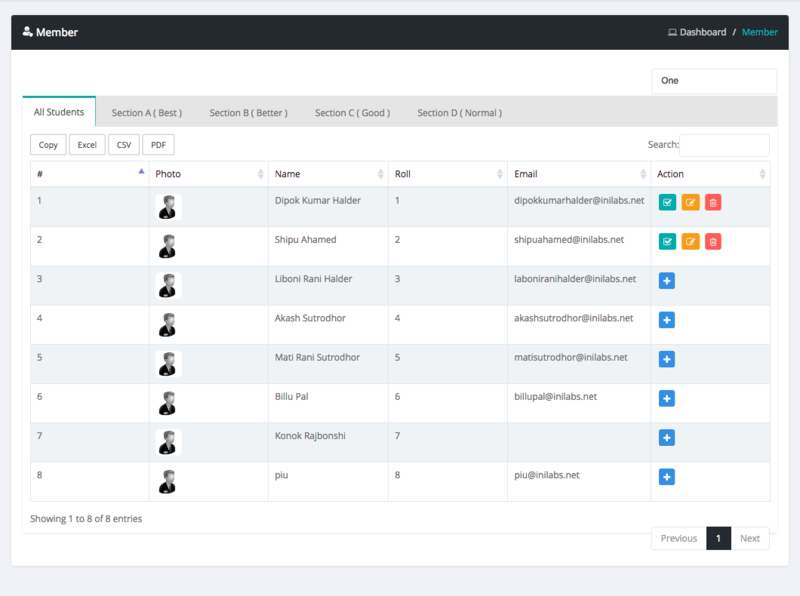 Why not utilize a complete solution as a single & streamlined platform . 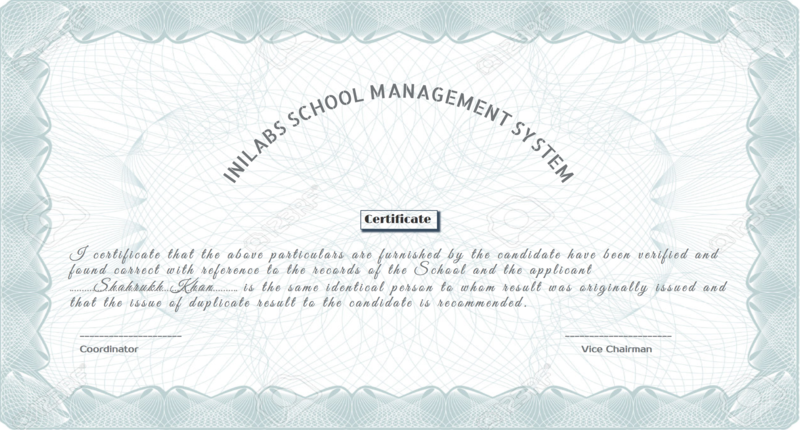 That’s why we came up with “iNiLabs school management system”. 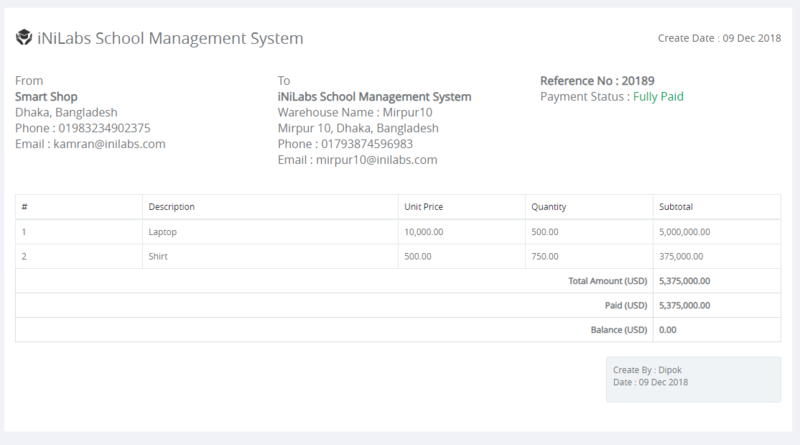 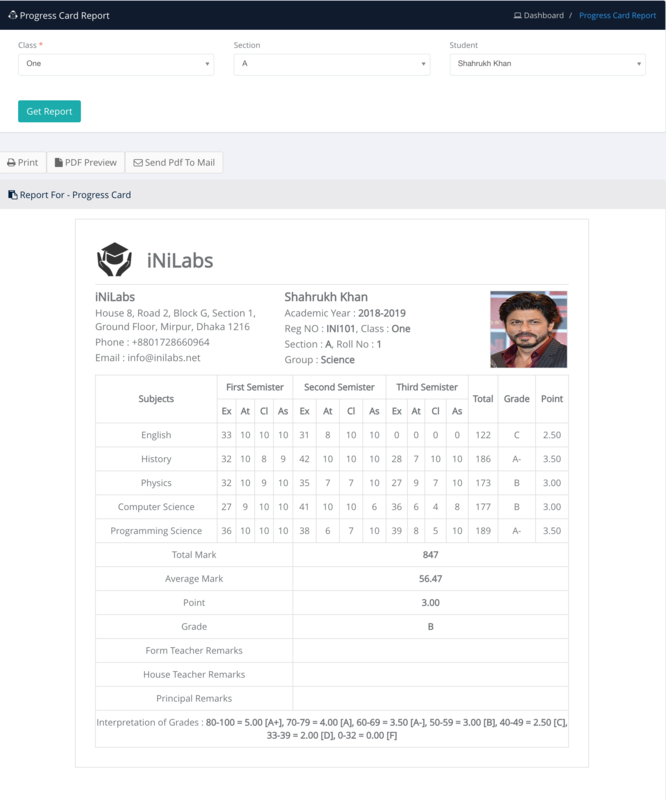 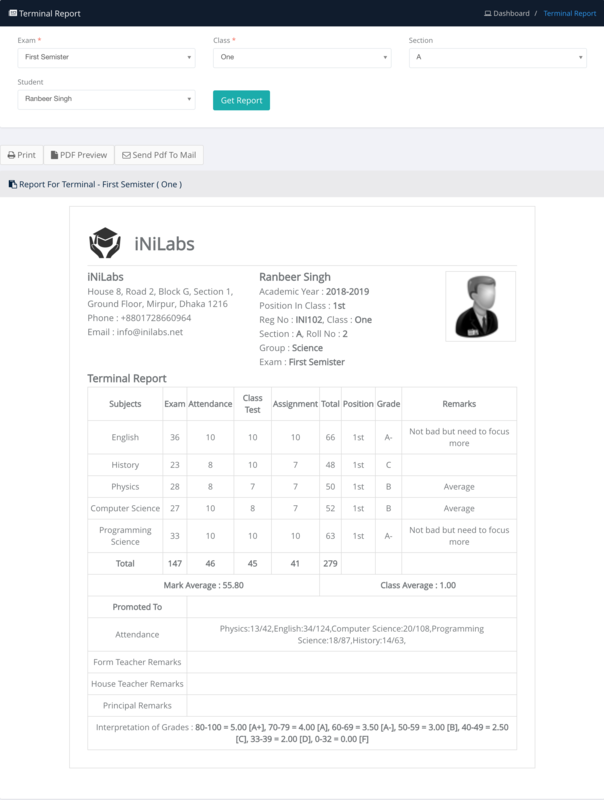 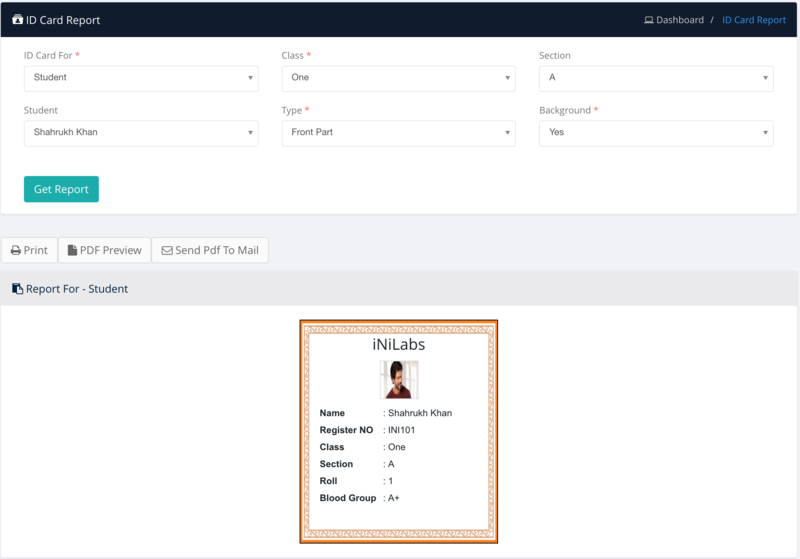 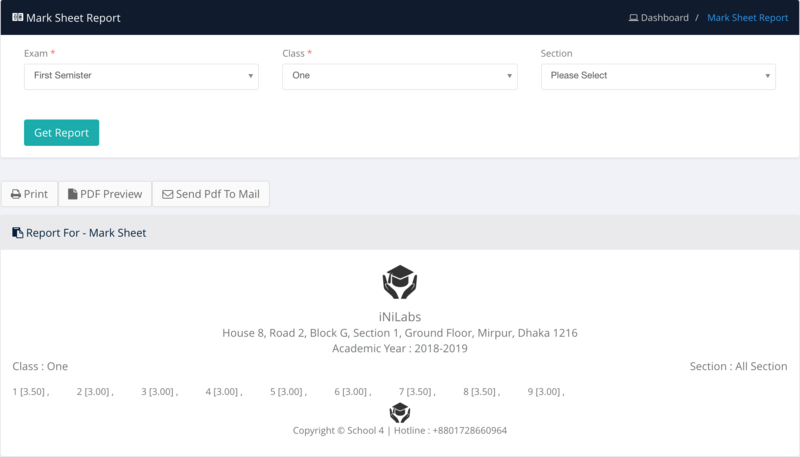 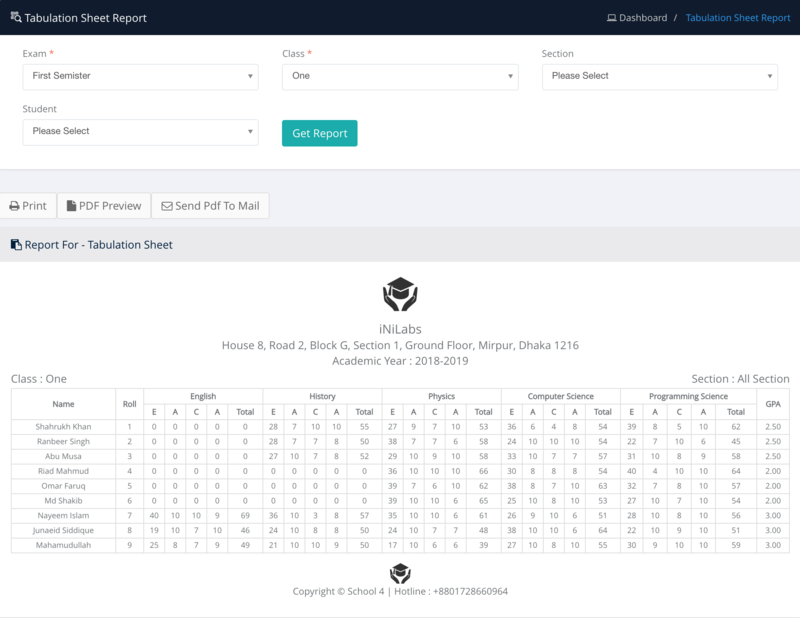 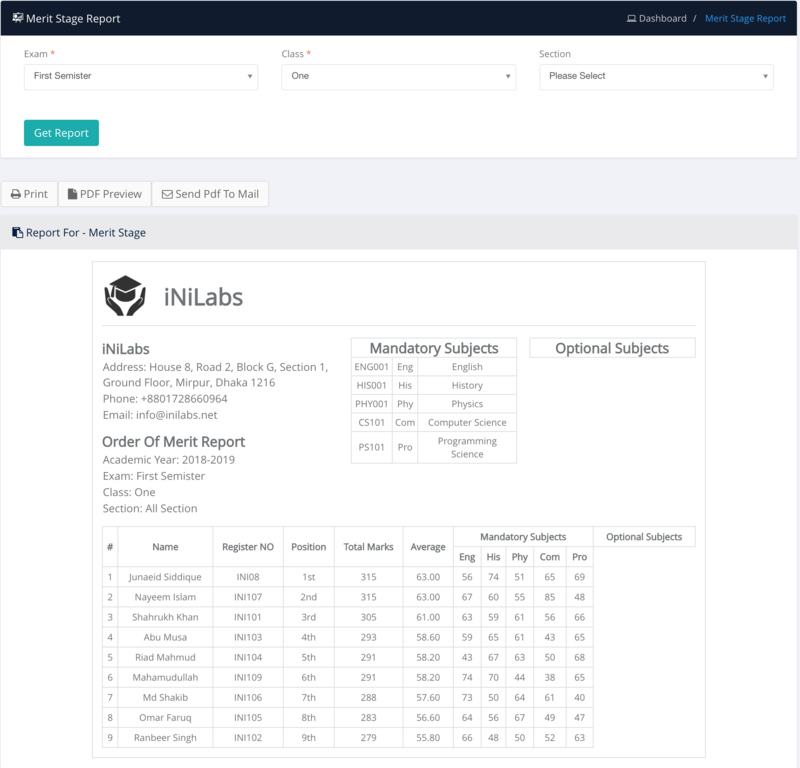 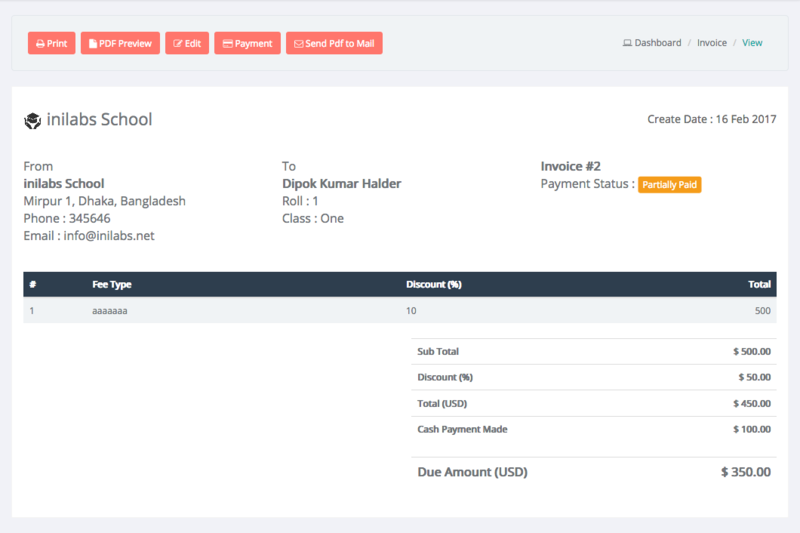 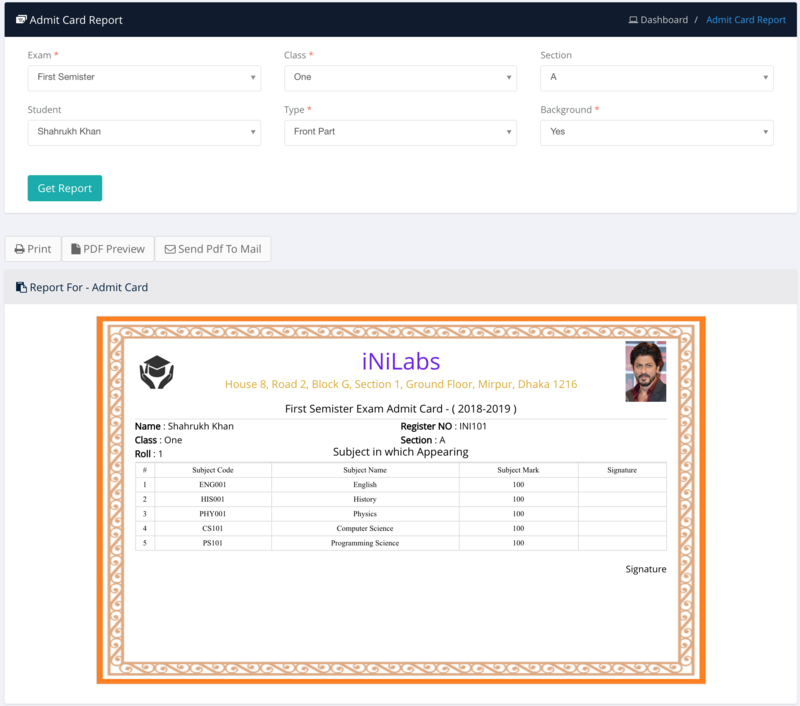 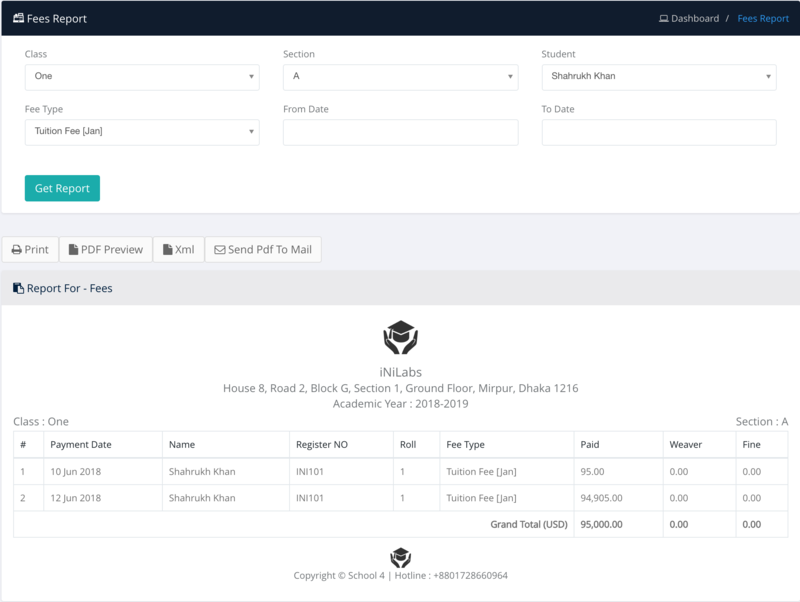 iNiLabs offers the most ever user-friendly school management system, with more than 250+ features, including admission & course management, online exam, grade books, attendance & leave management, hostel & transport management, ebooks & library management, HR management, invoicing, inventory, advanced user management with unlimited user roles, mail & SMS management, More that 8+ online payments & SMS gateway, 100+ reports and many more. 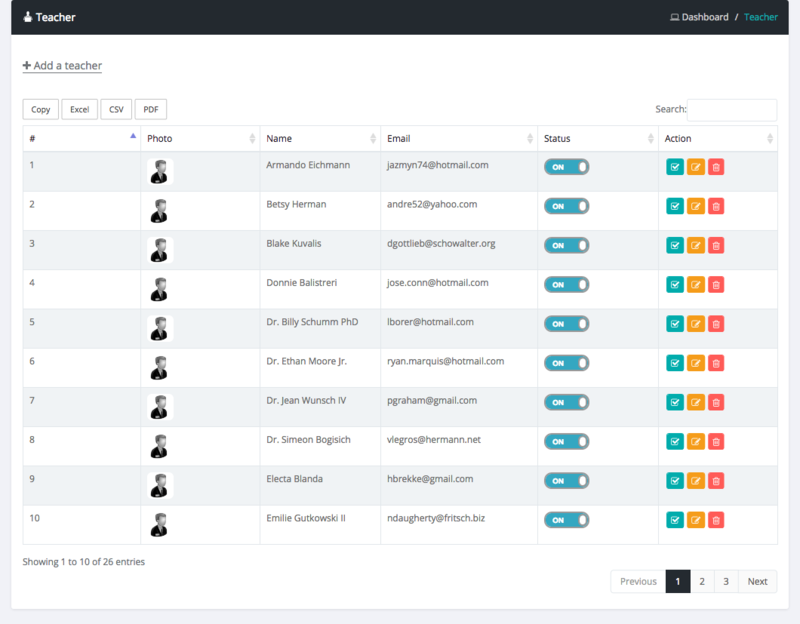 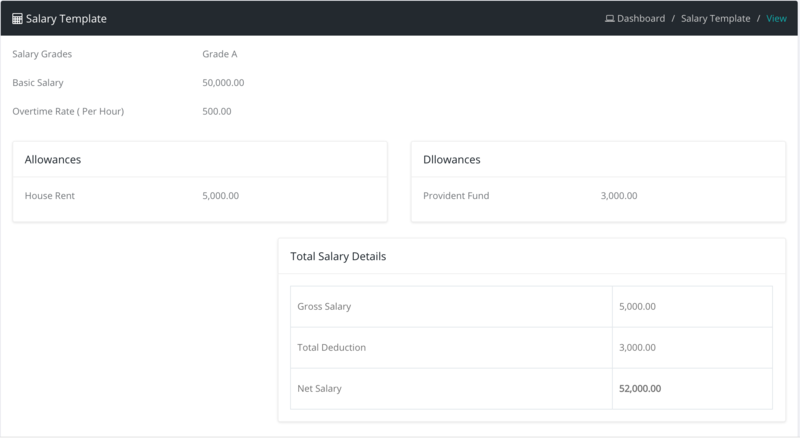 Watch our free demo to explore more! 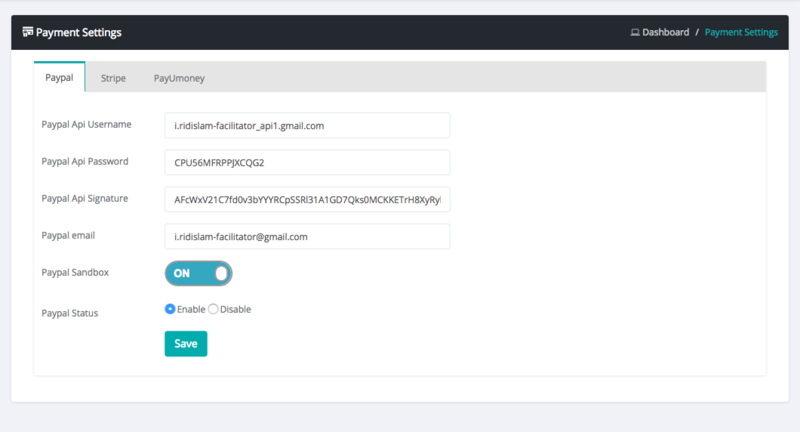 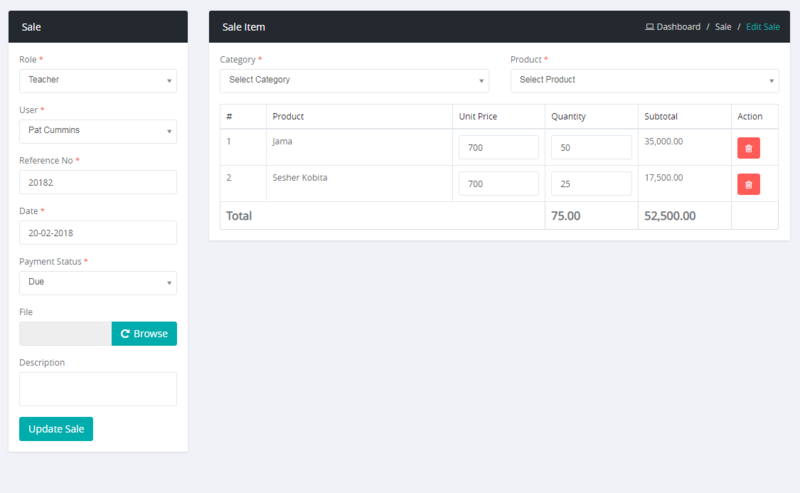 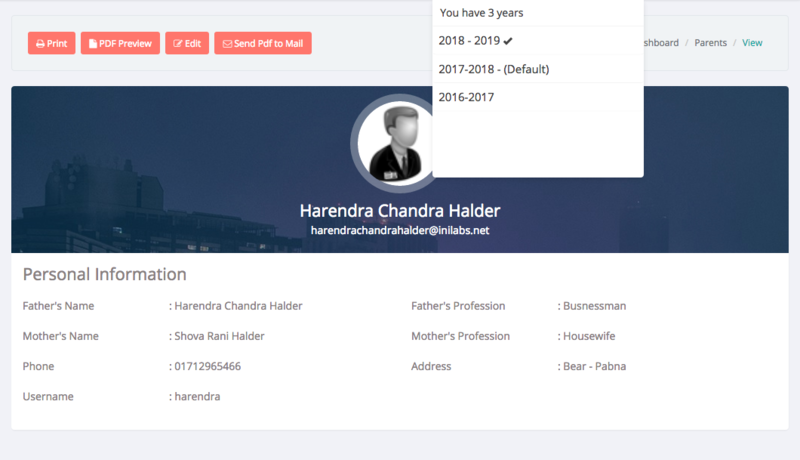 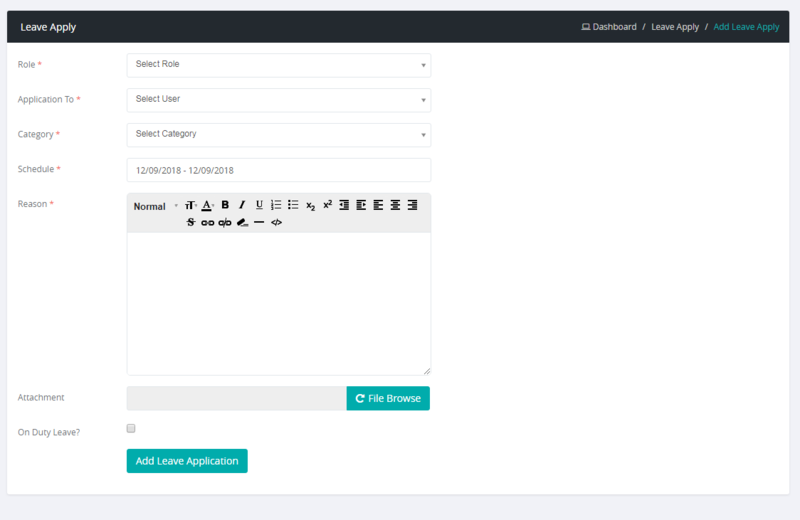 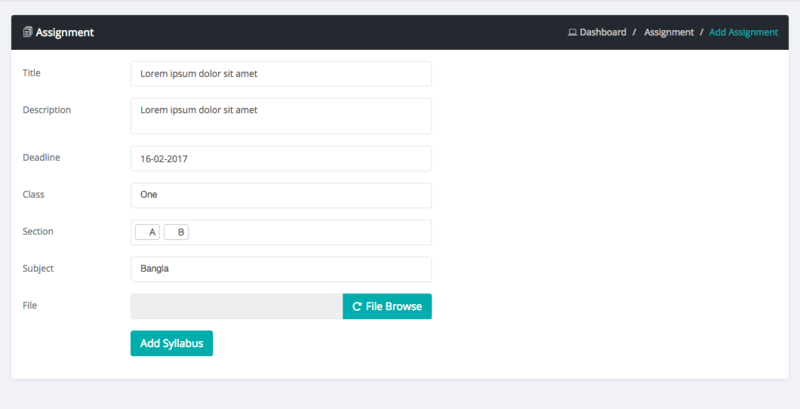 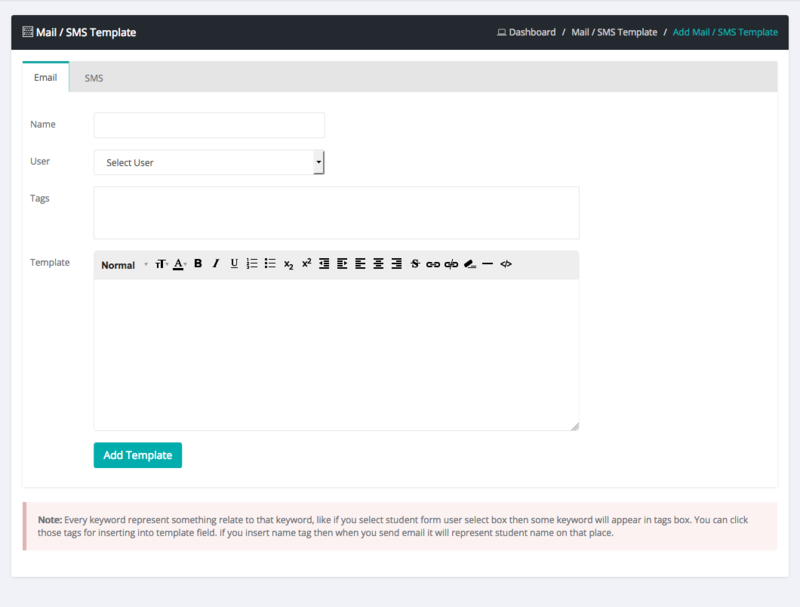 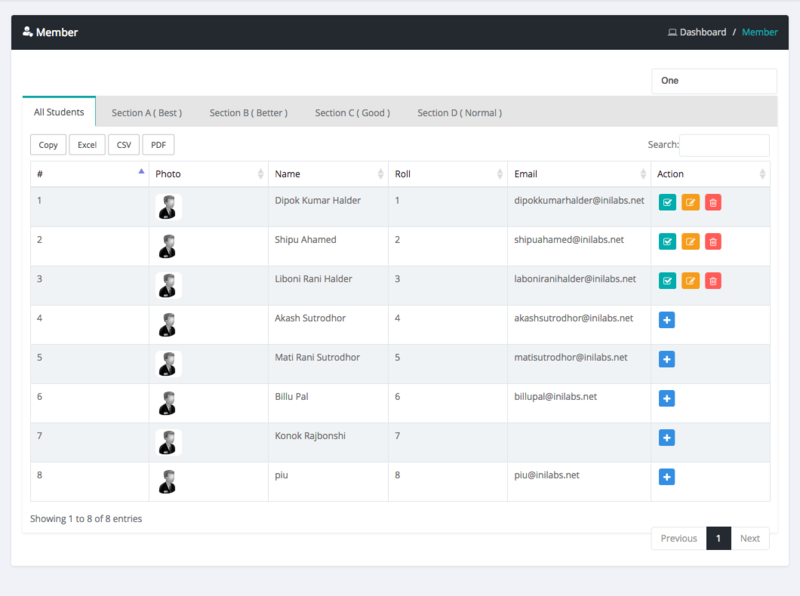 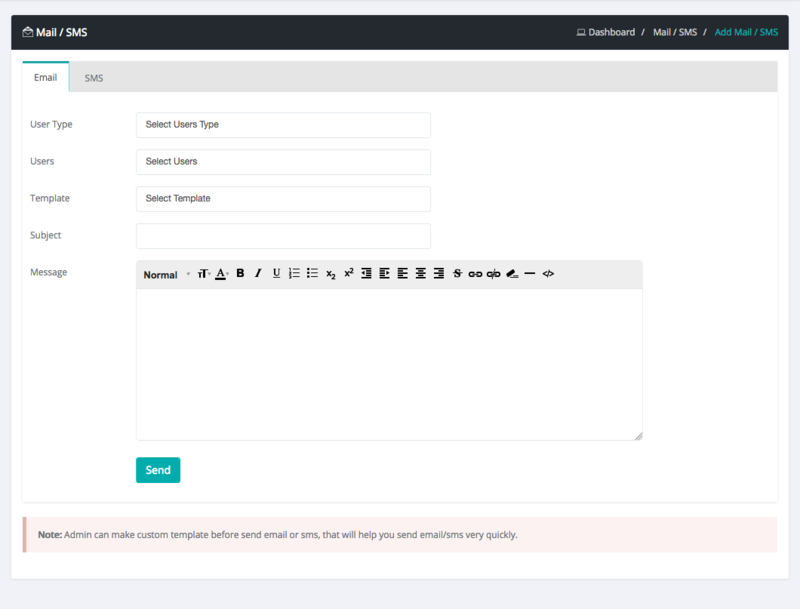 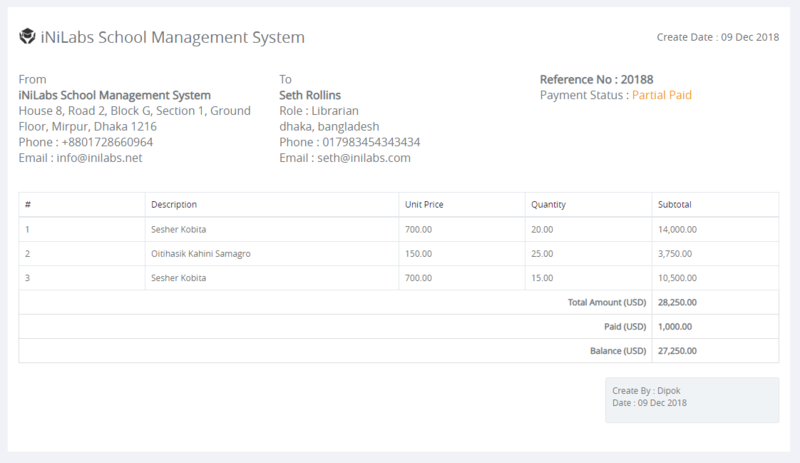 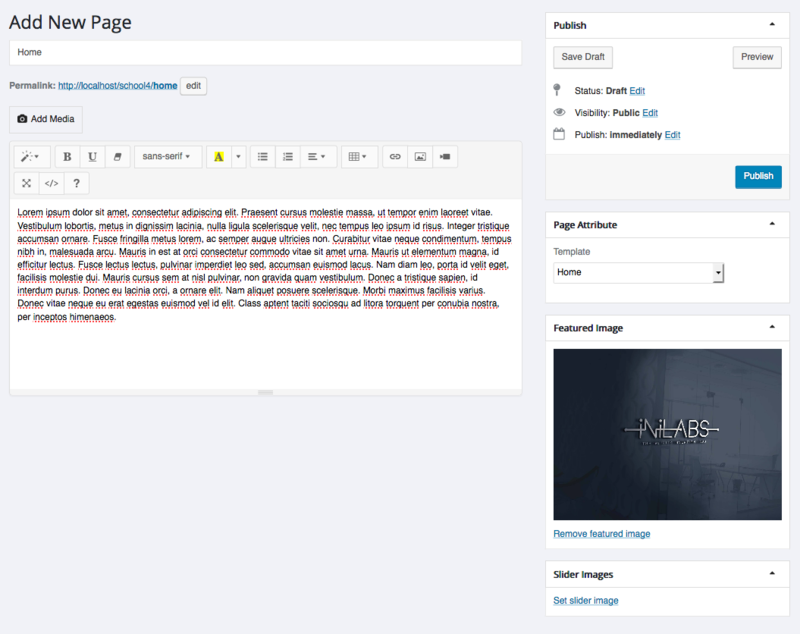 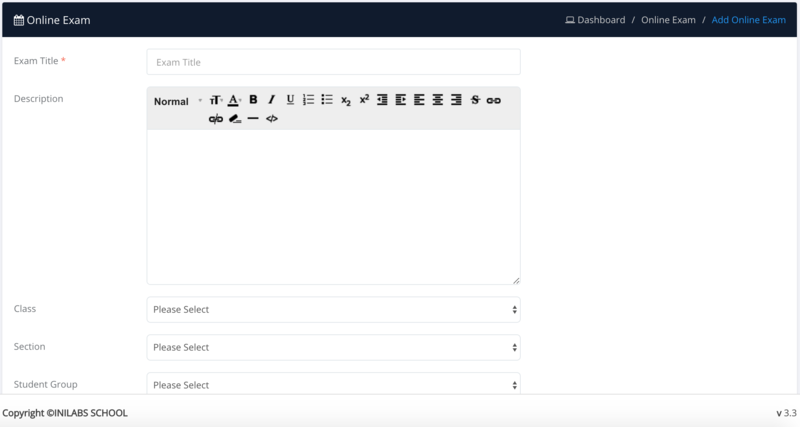 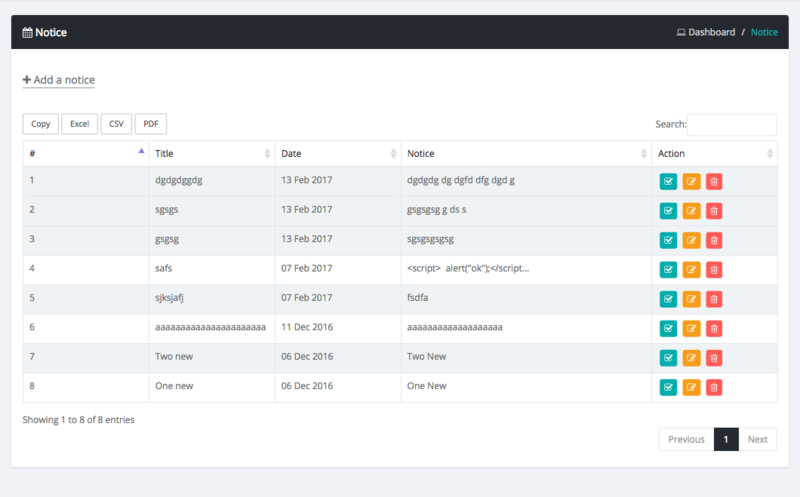 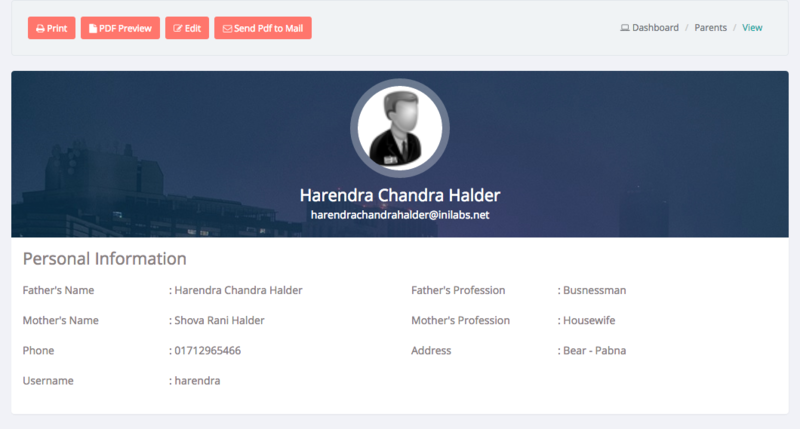 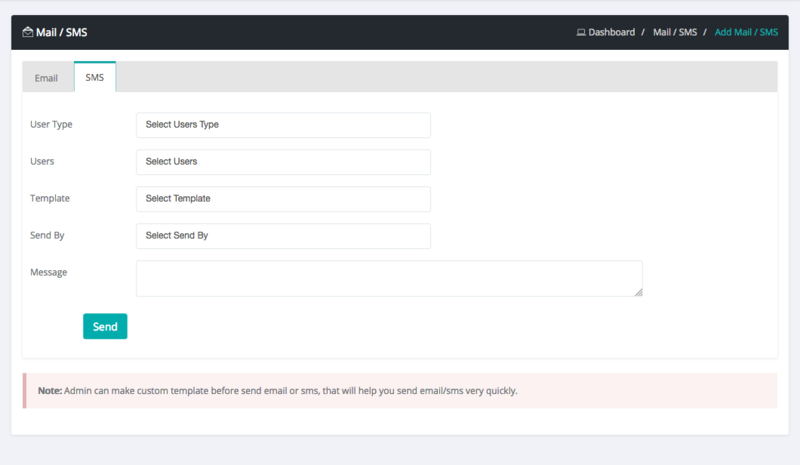 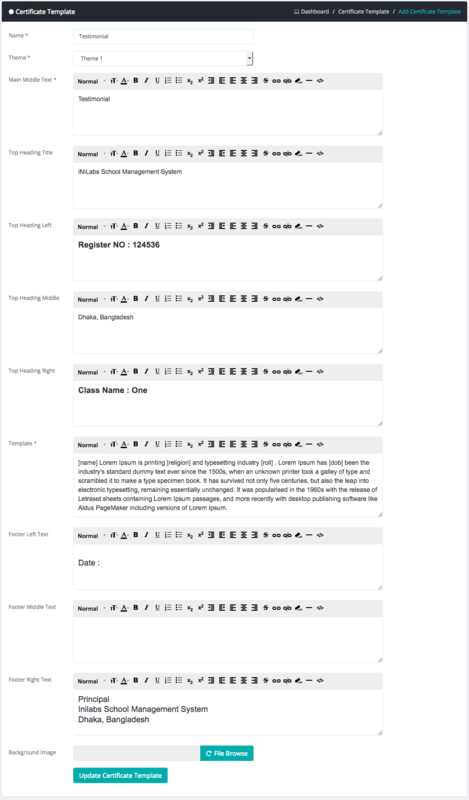 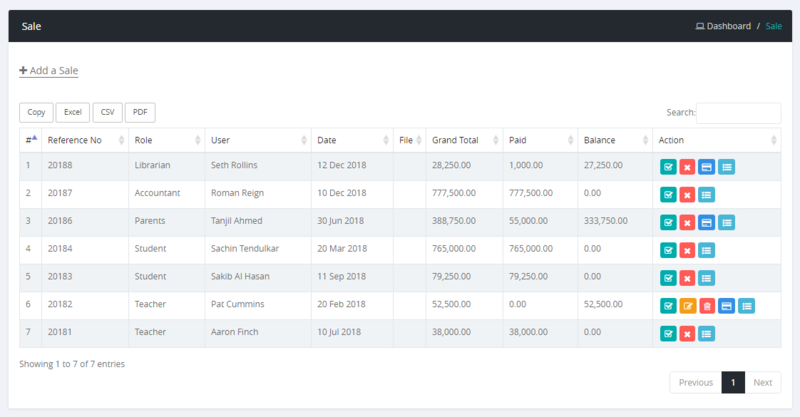 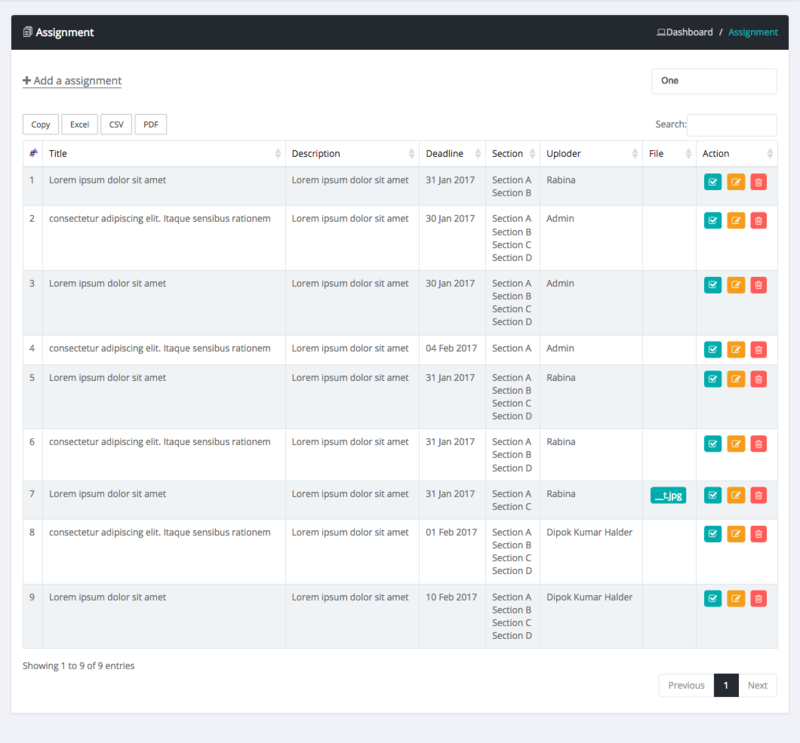 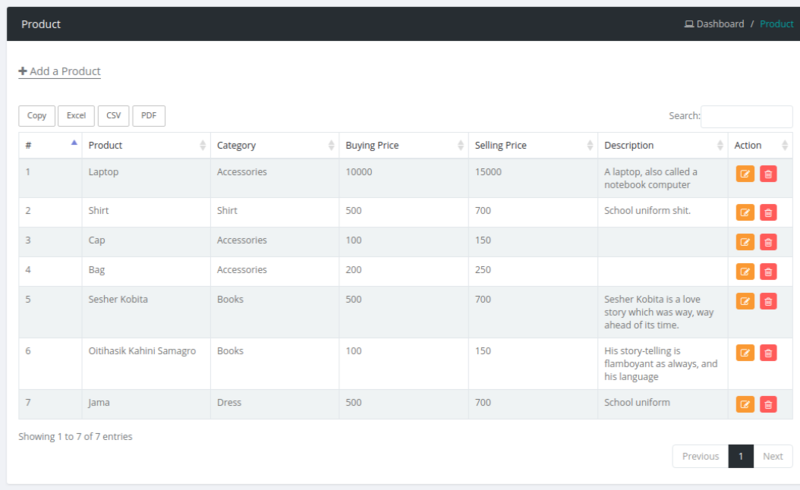 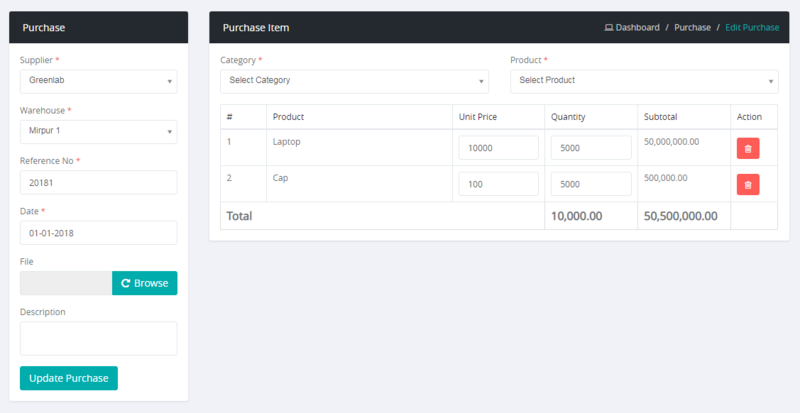 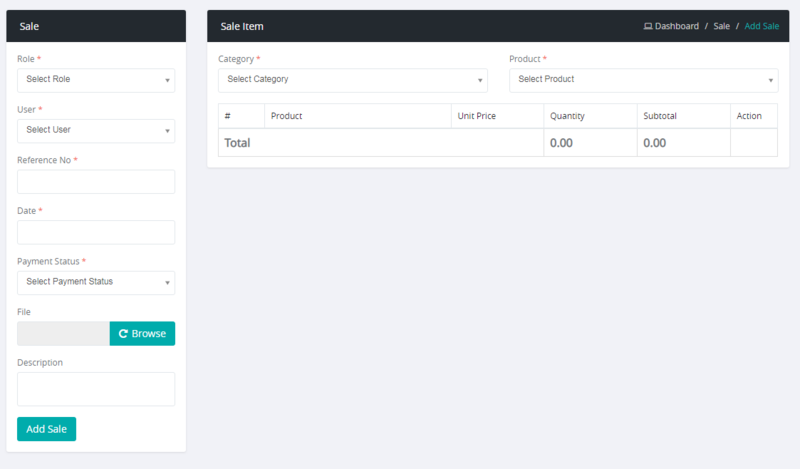 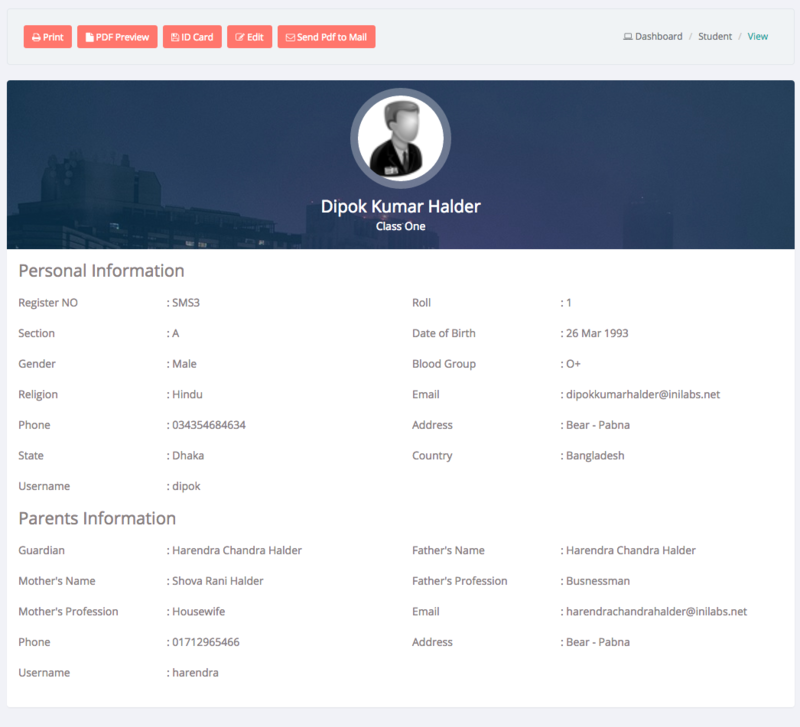 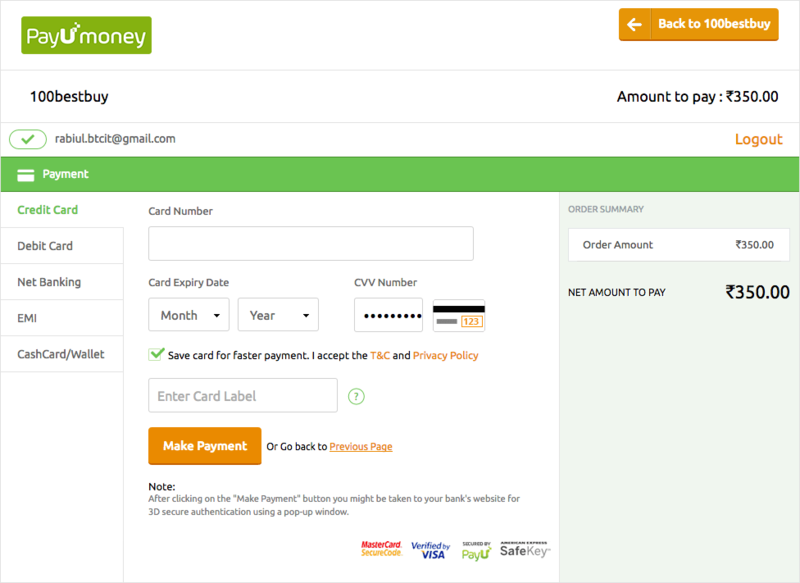 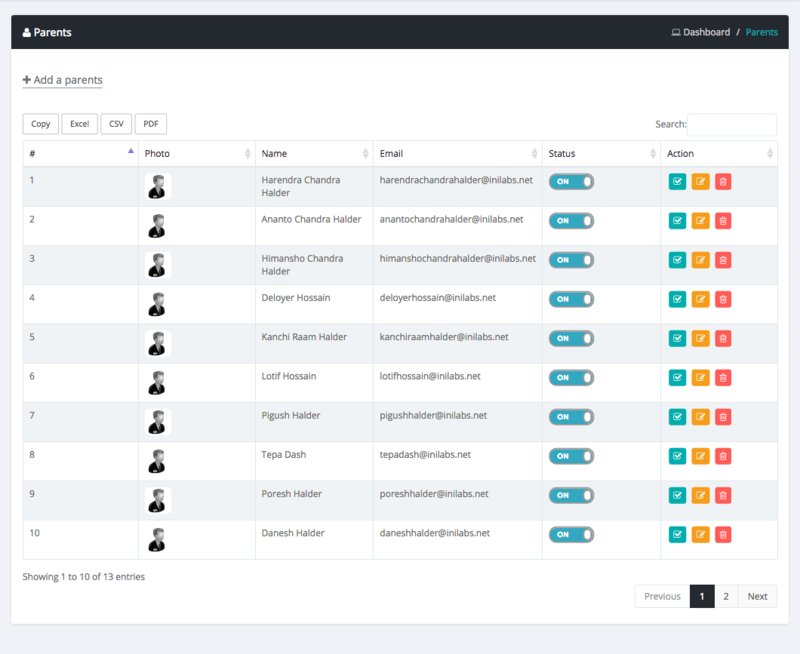 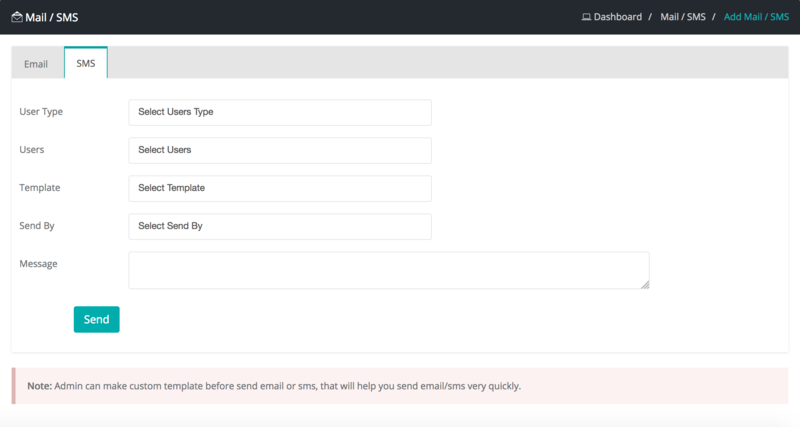 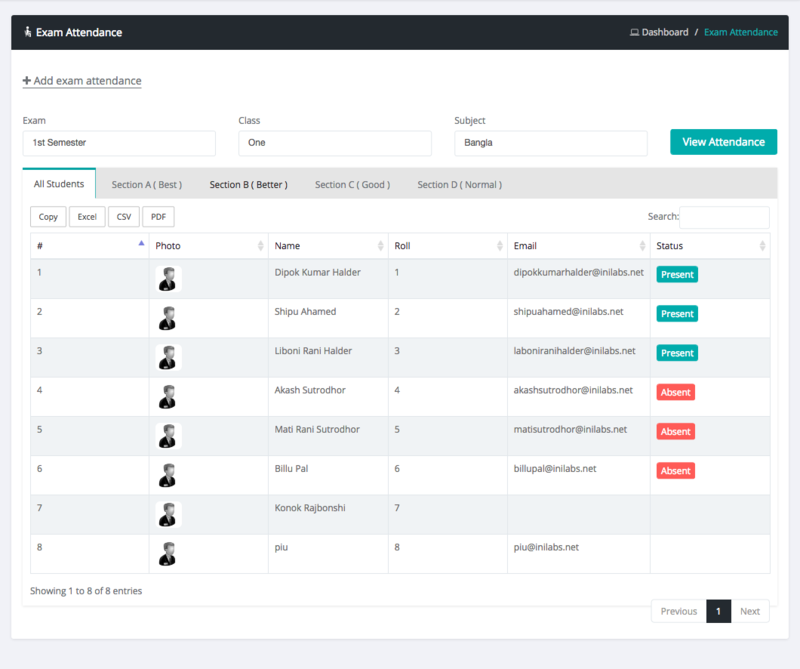 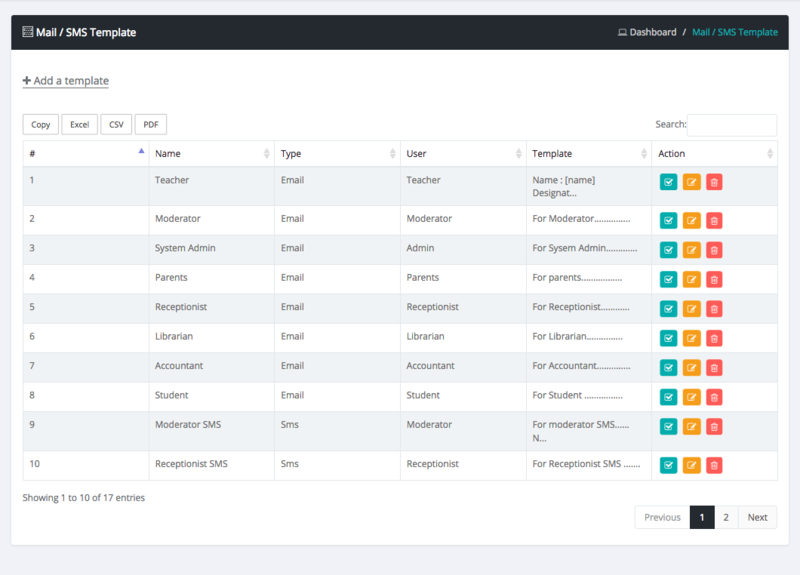 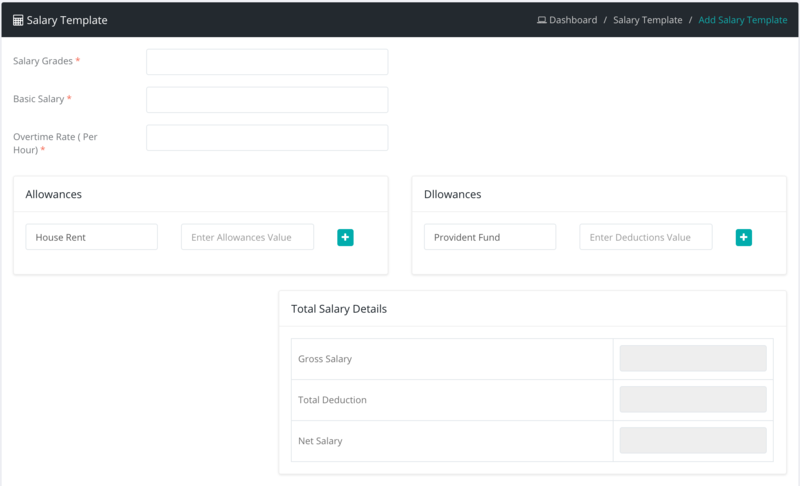 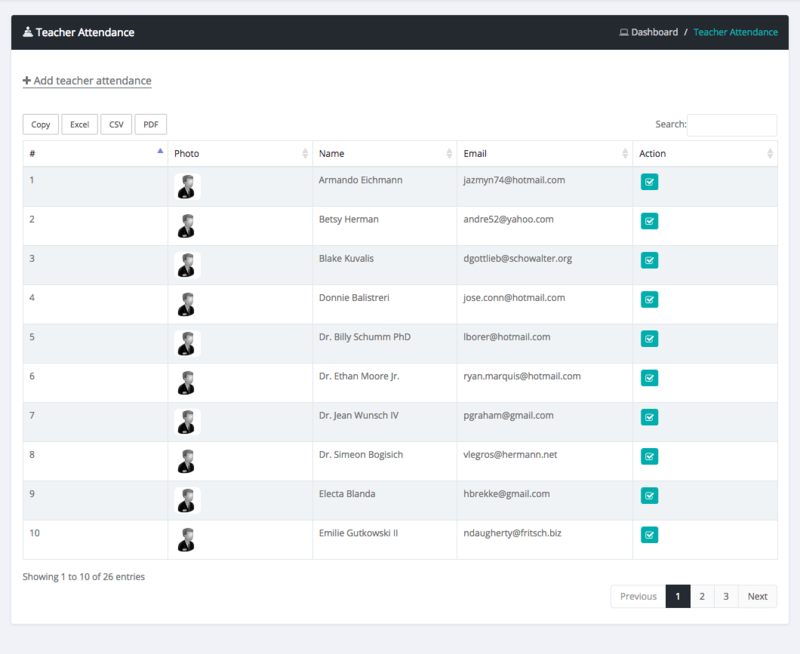 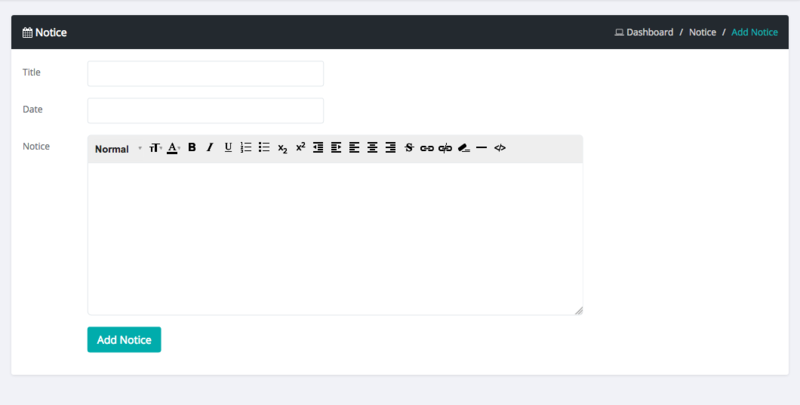 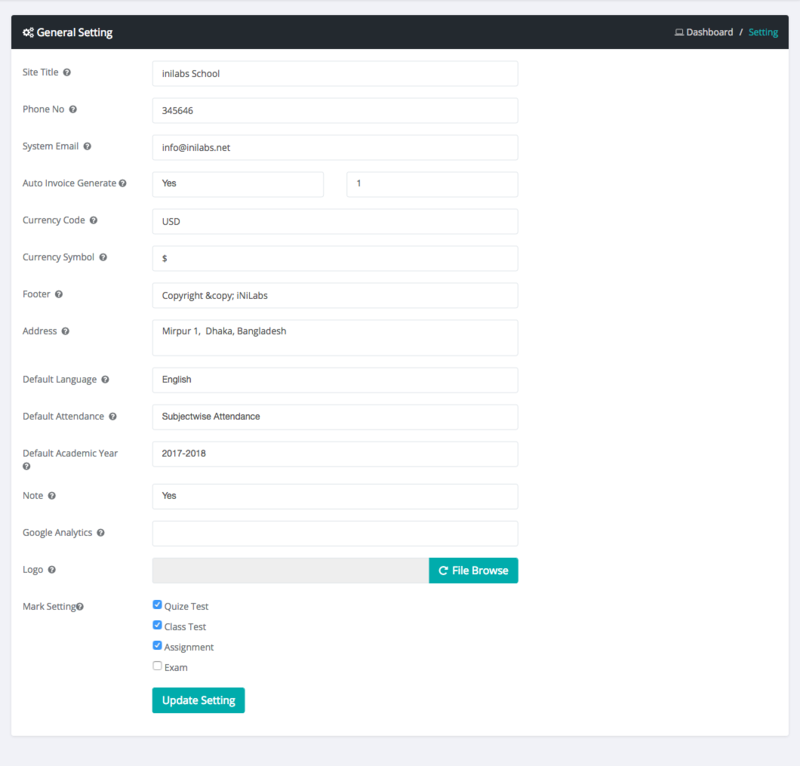 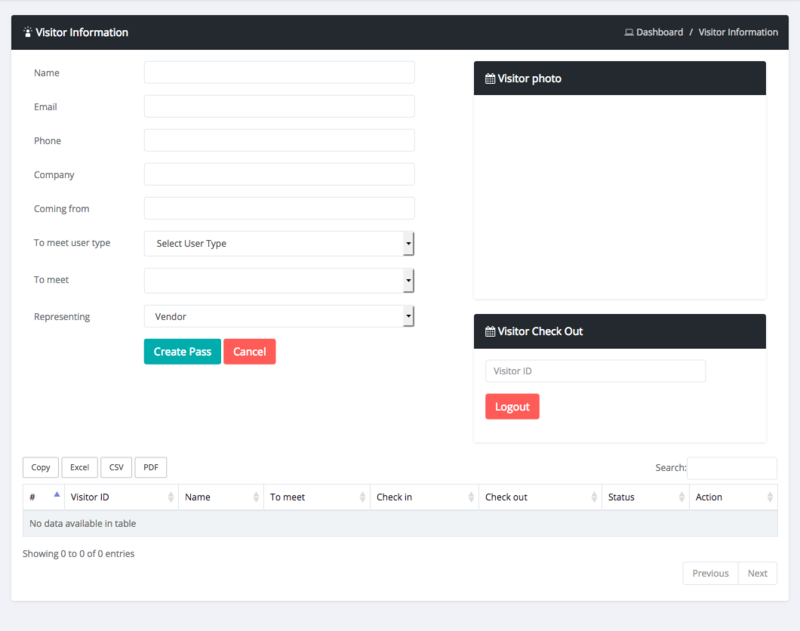 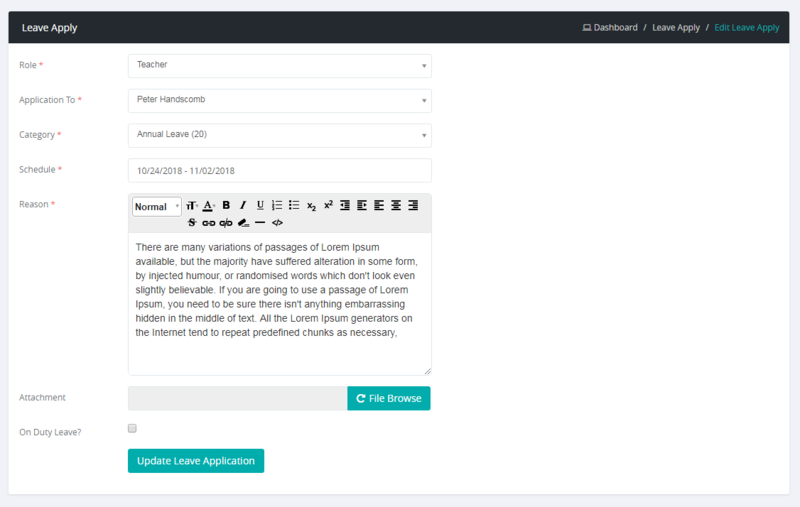 Built-in website with advance page manager. 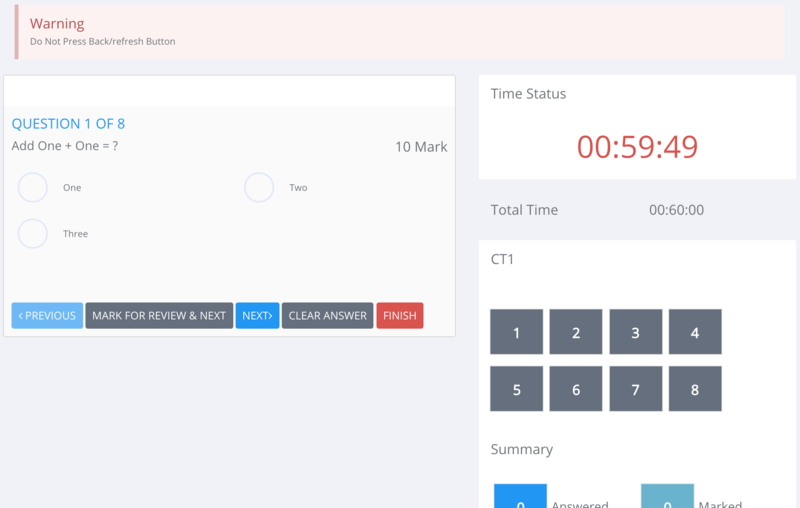 + [Feature] Online Examination with various type. 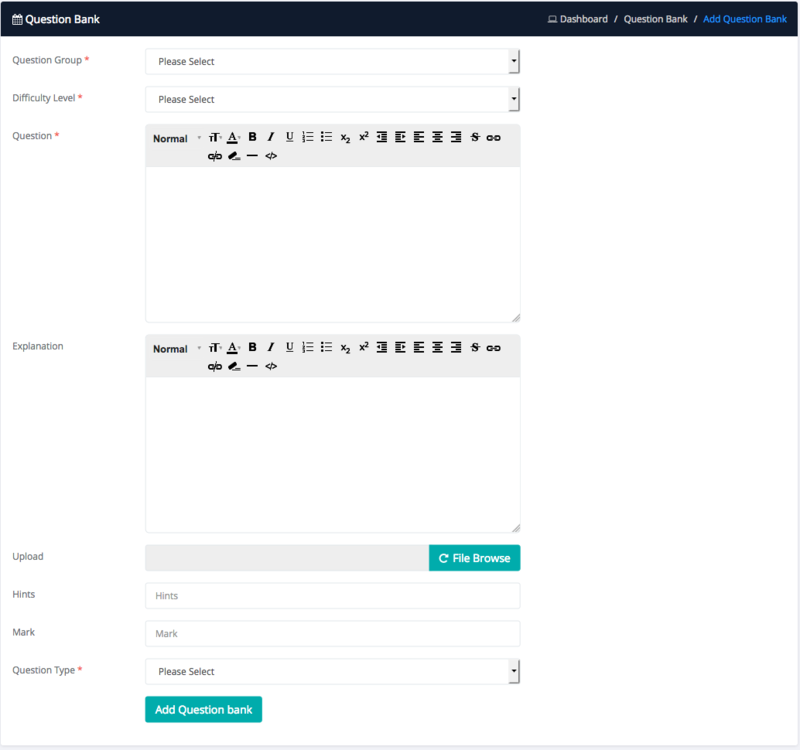 + [Feature] Question Bank with question level and group. 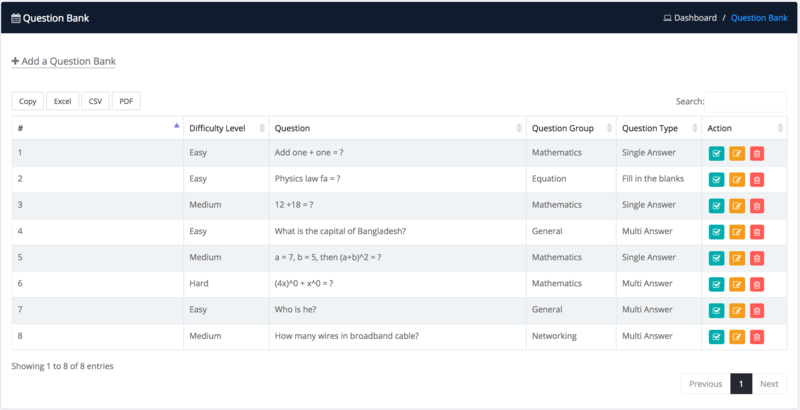 + [Feature] You can add 3 type of Questions. 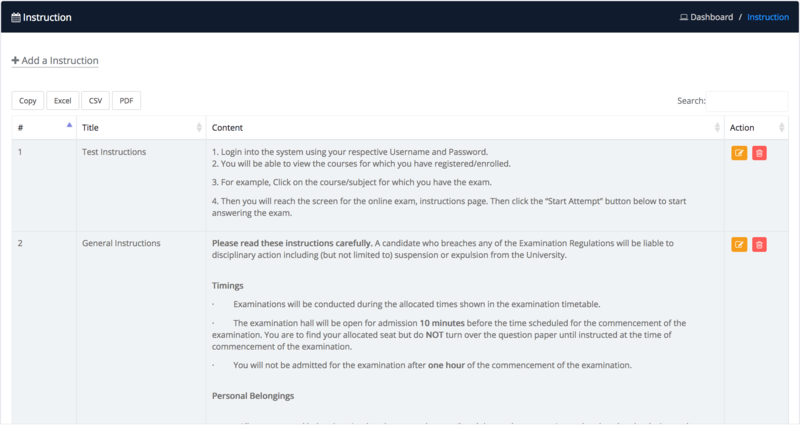 + [Feature] You can add online exam instruction note. 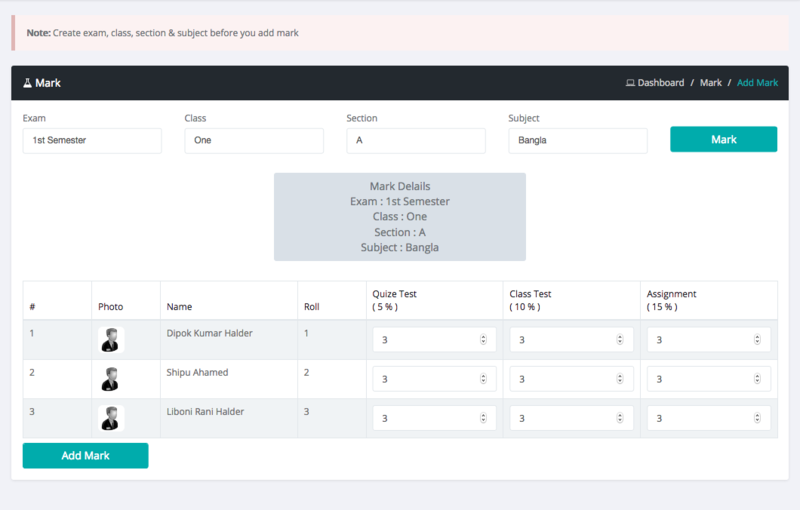 * [Fix] Teacher Can only see his classes students. 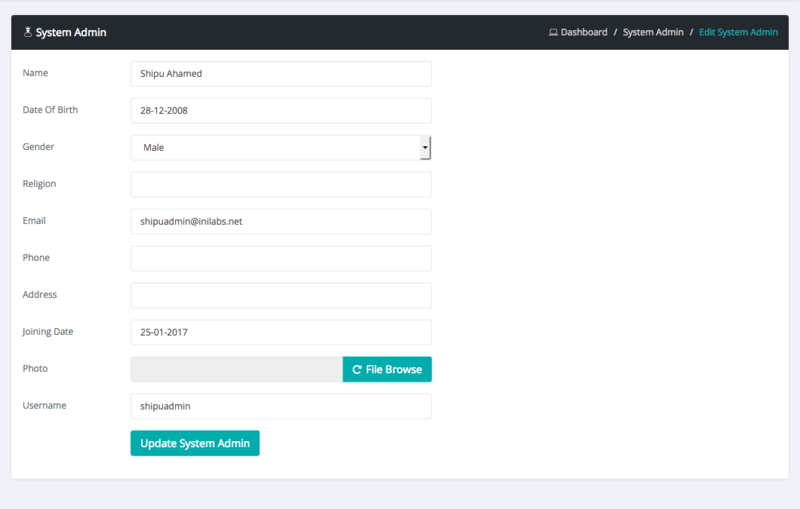 + [Feature] Admin can export Database backup. 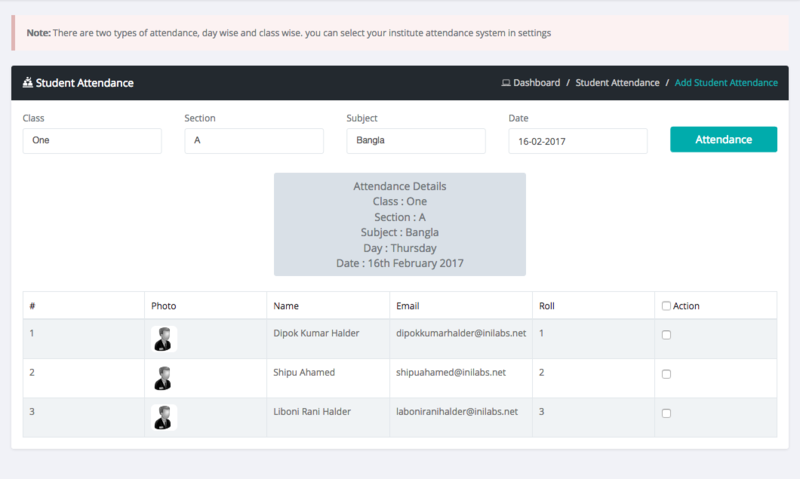 + [Feature] Admin can create school event. 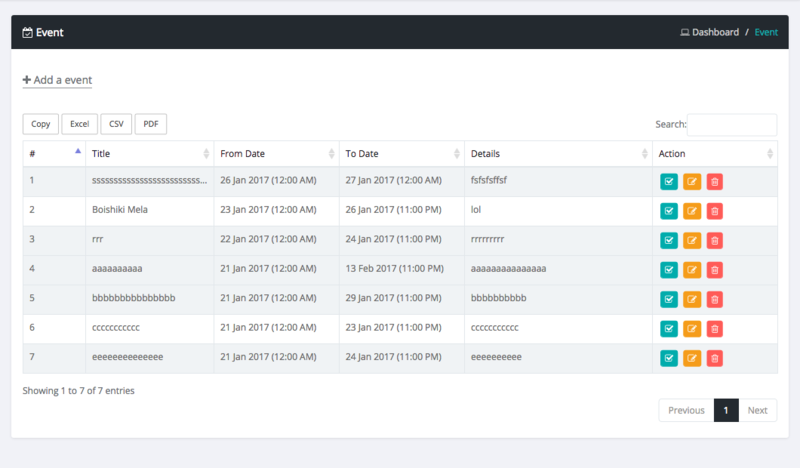 And all user can see events in their calender. 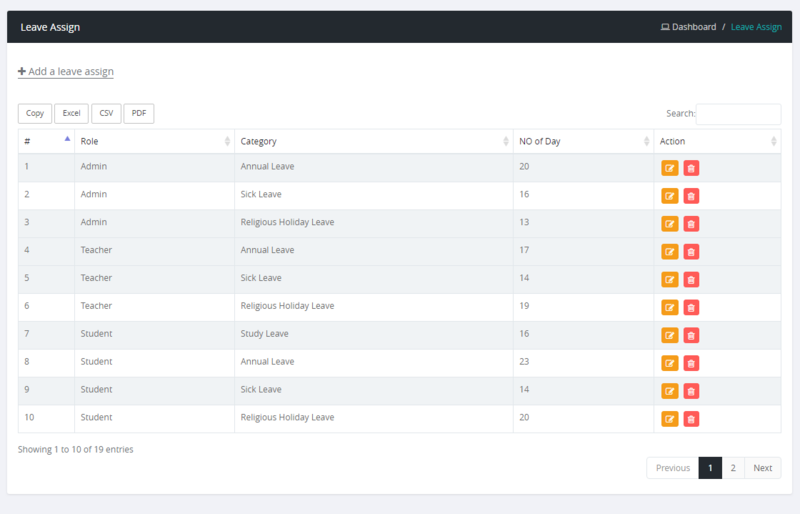 + [Feature] Admin can create school holiday. 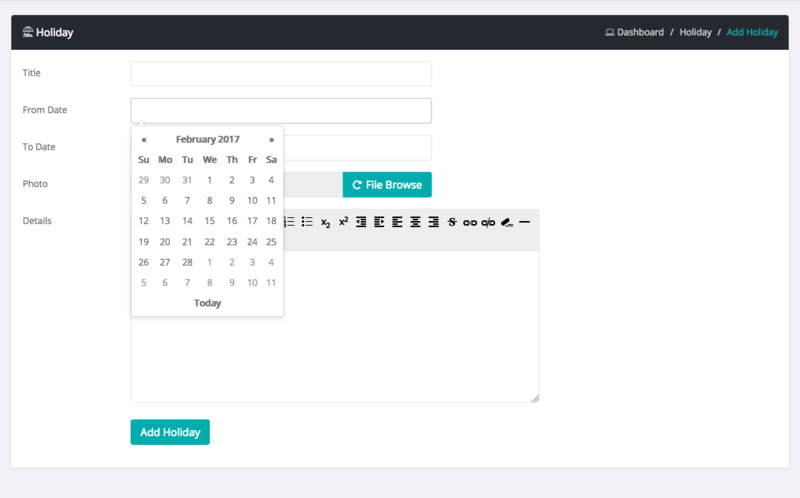 And all user can see holiday in their calender. 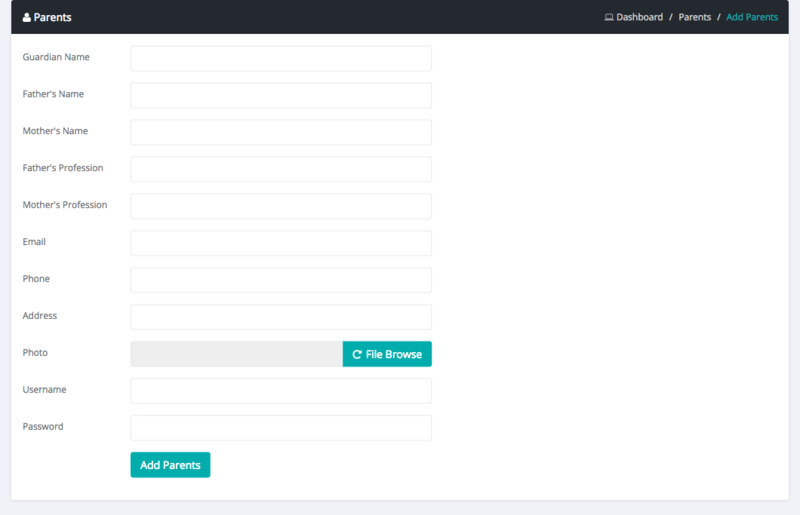 + [Feature] Admin can set default language settings. 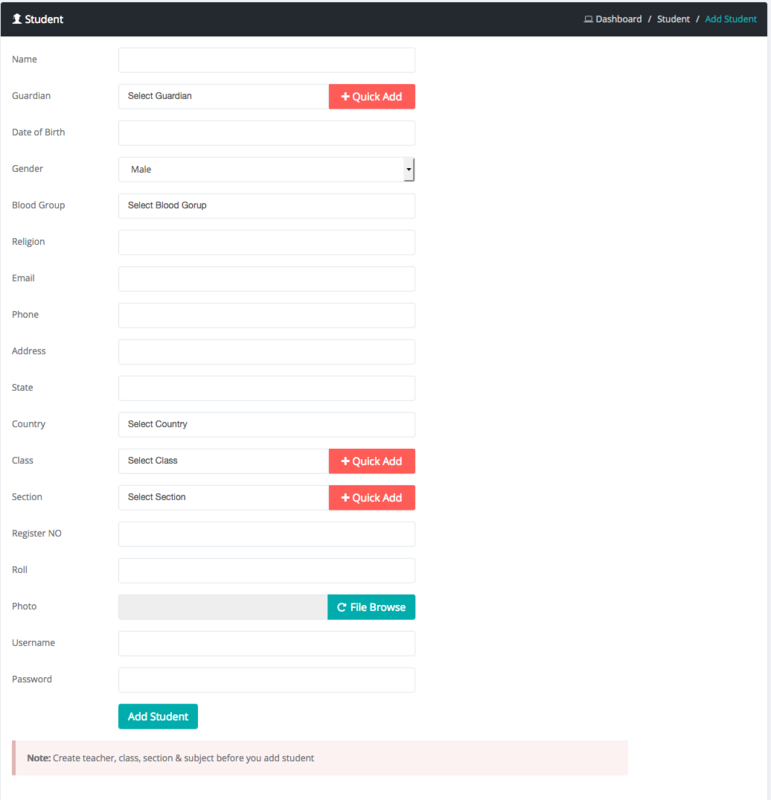 + [Feature] Admin can reset any type of user password. + [Feature] Student can submit leave application to teacher. 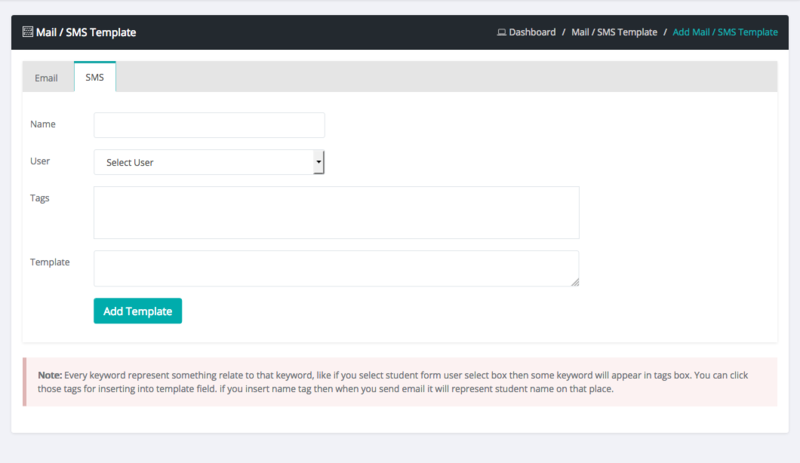 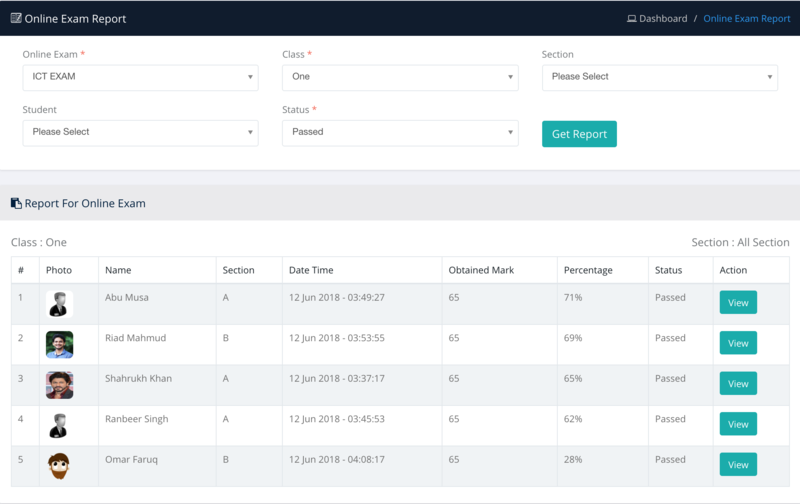 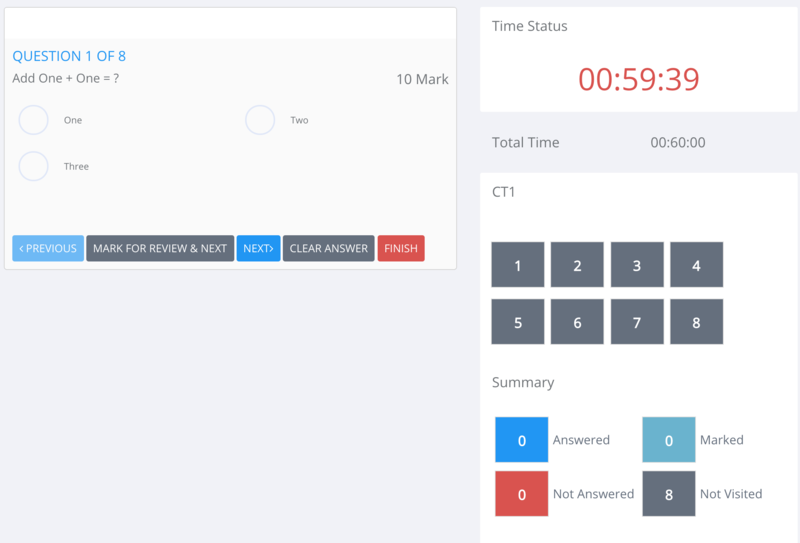 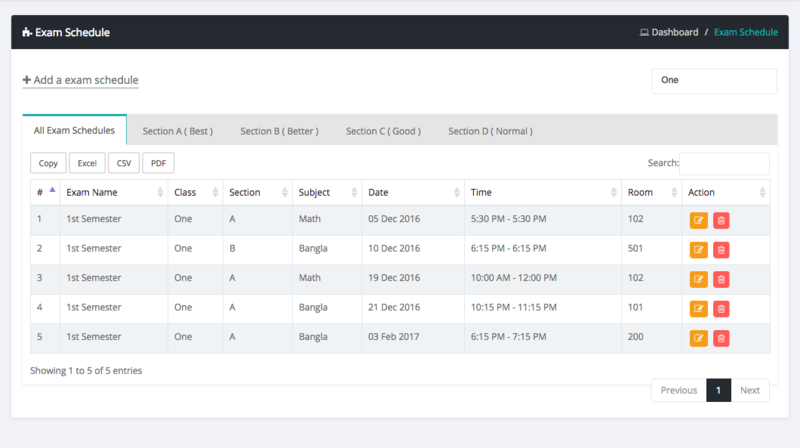 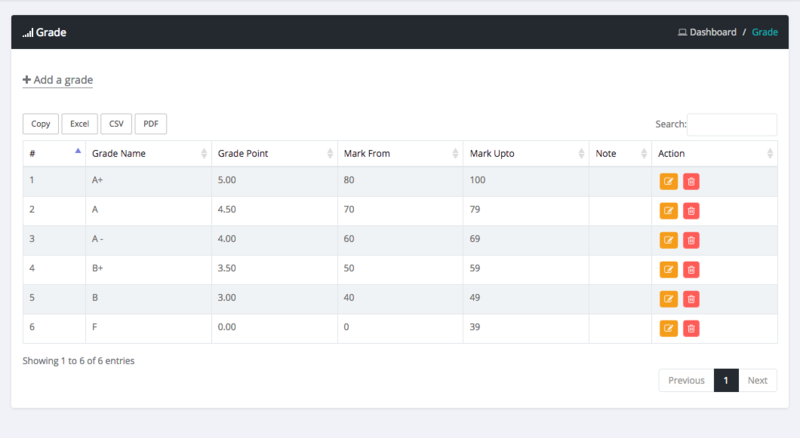 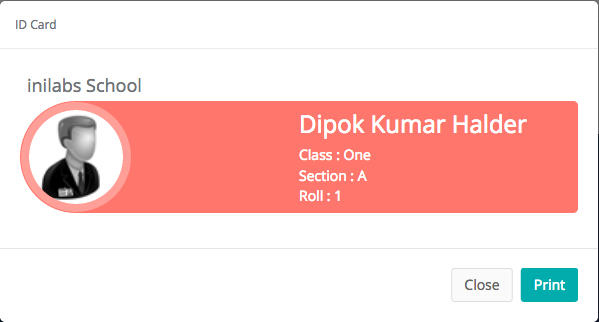 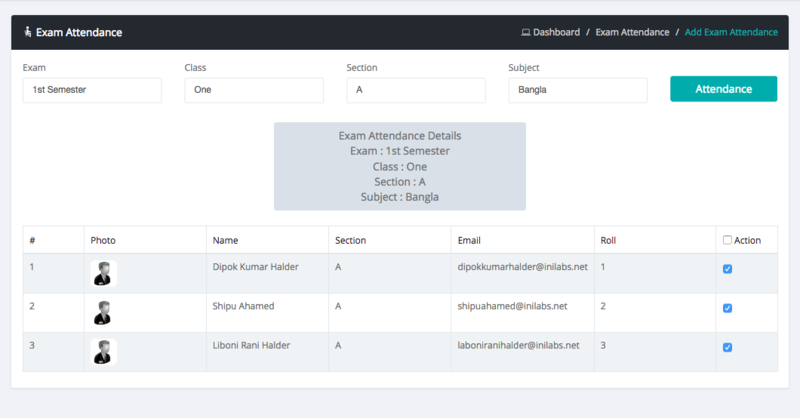 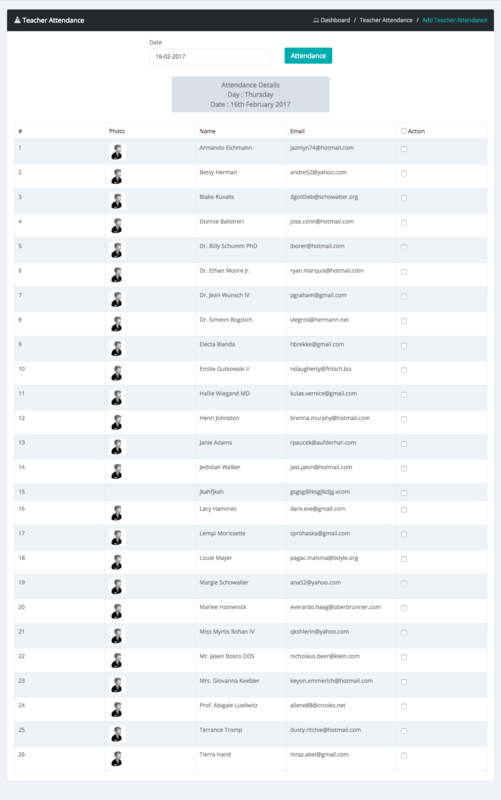 + [Feature] Admin, Teacher, Student and Parents can see the subject highest mark in each student mark details page. 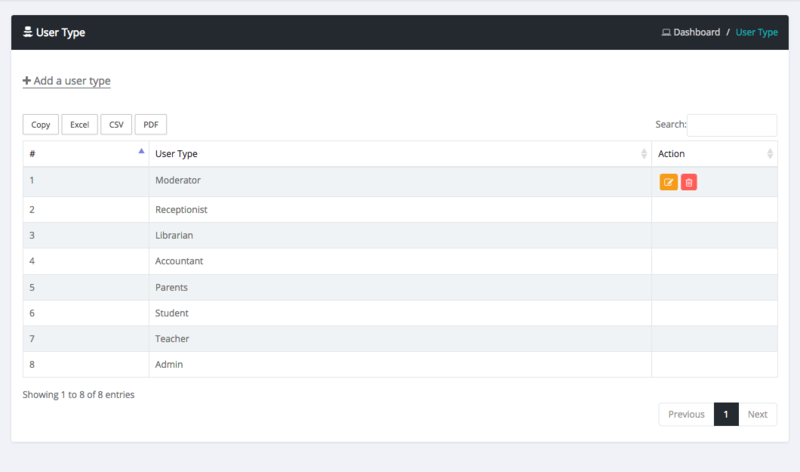 + [Feature] Teacher can submit leave application to admin. 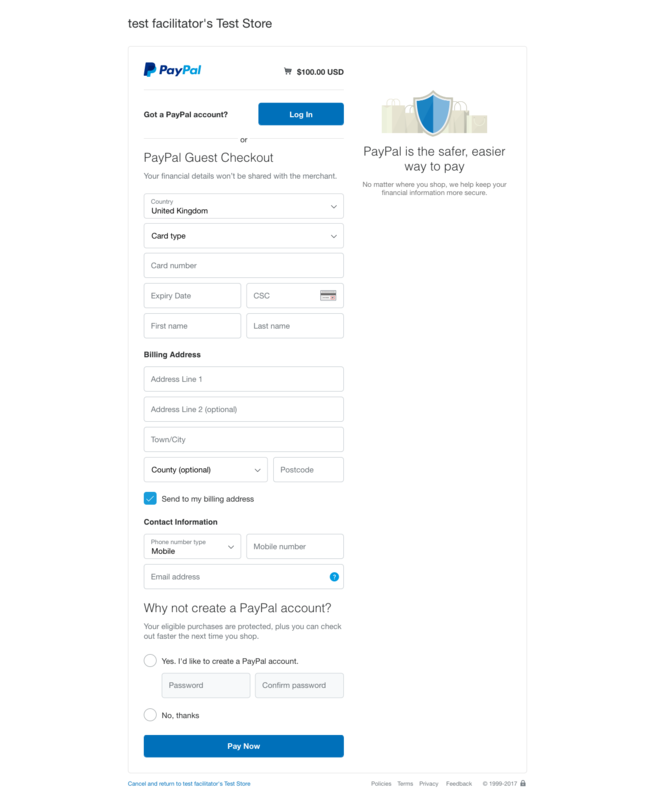 + [Feature] Receptionist is the new user type. 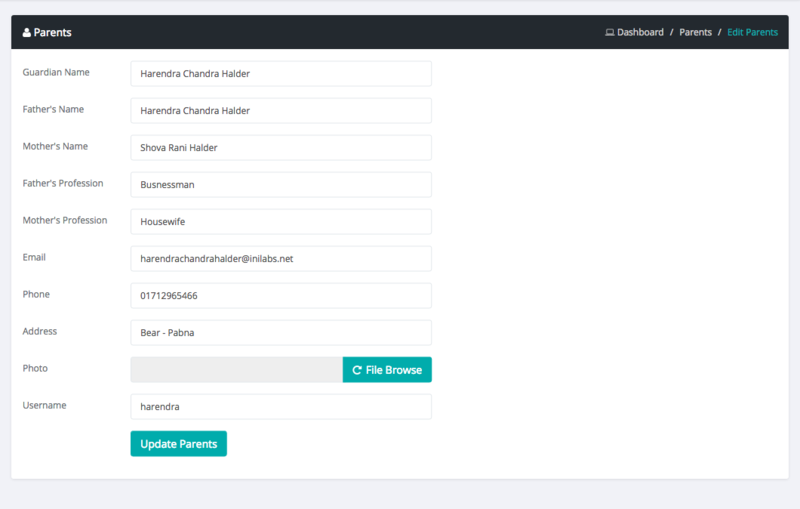 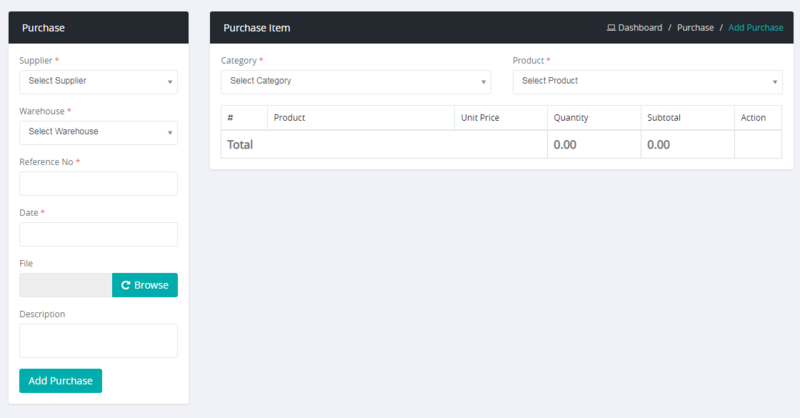 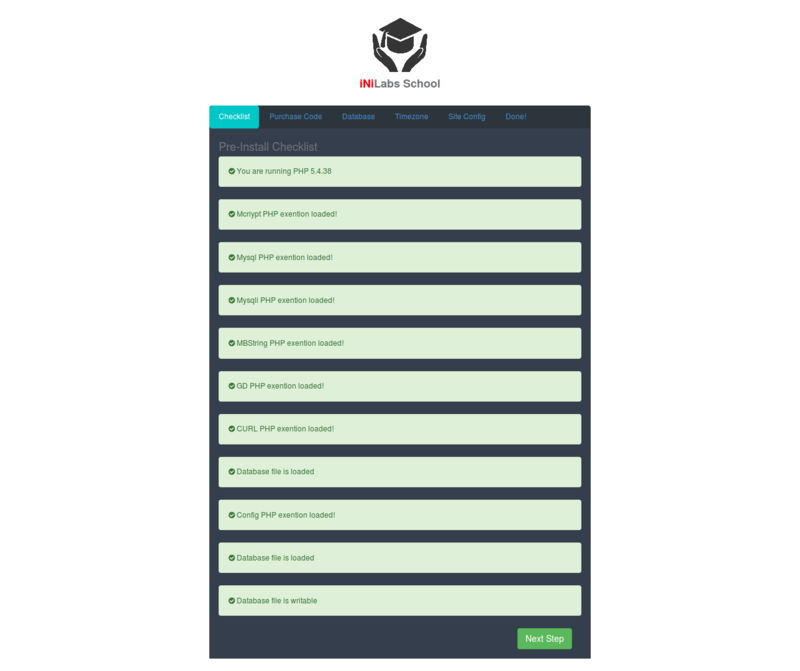 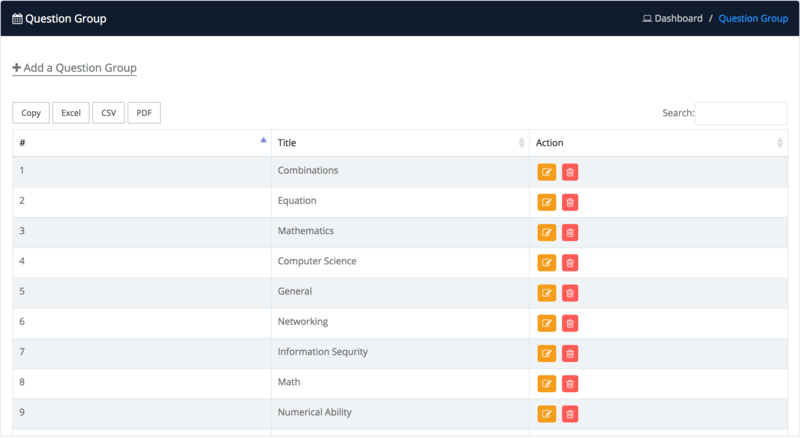 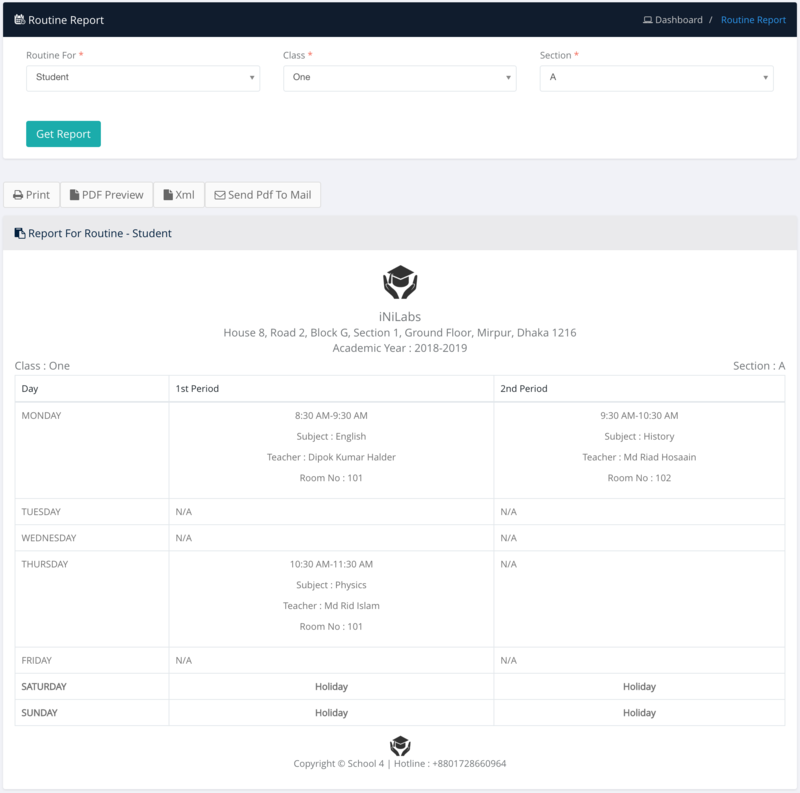 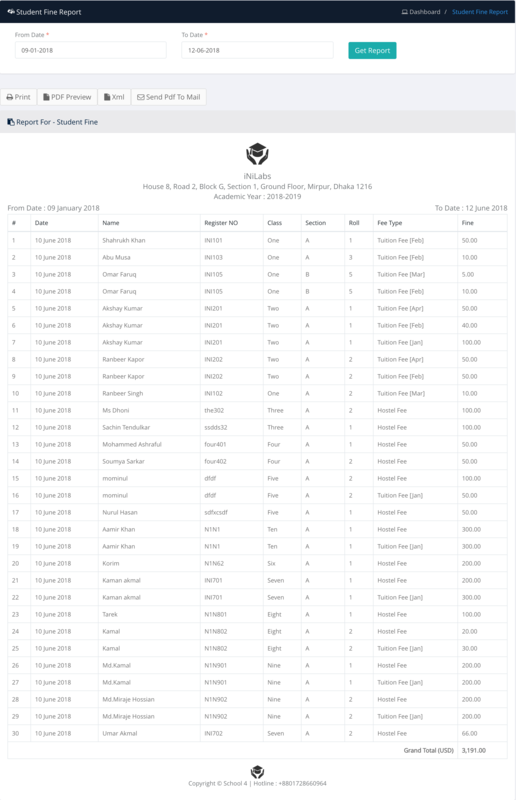 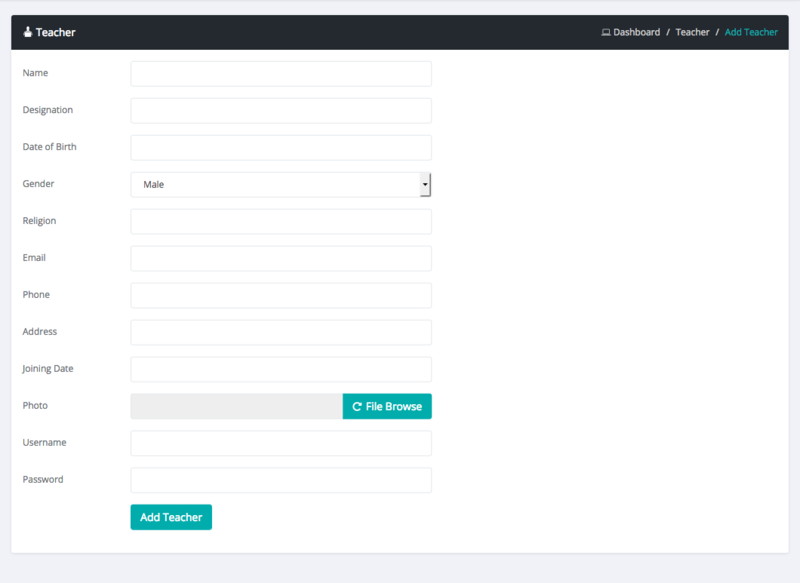 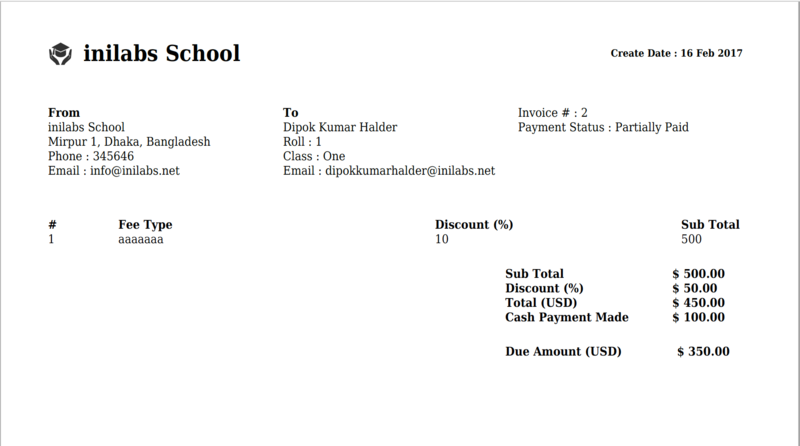 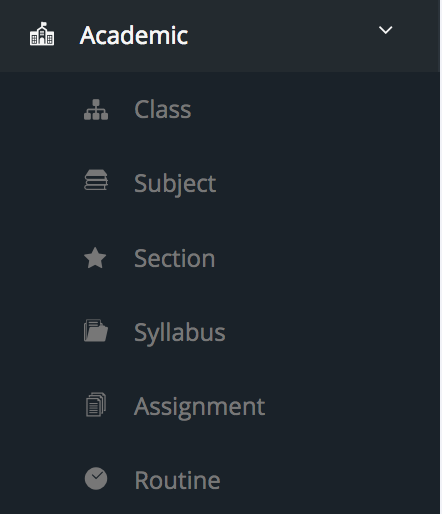 + [Feature] Bulk Import for student, teacher, parent, user and book. 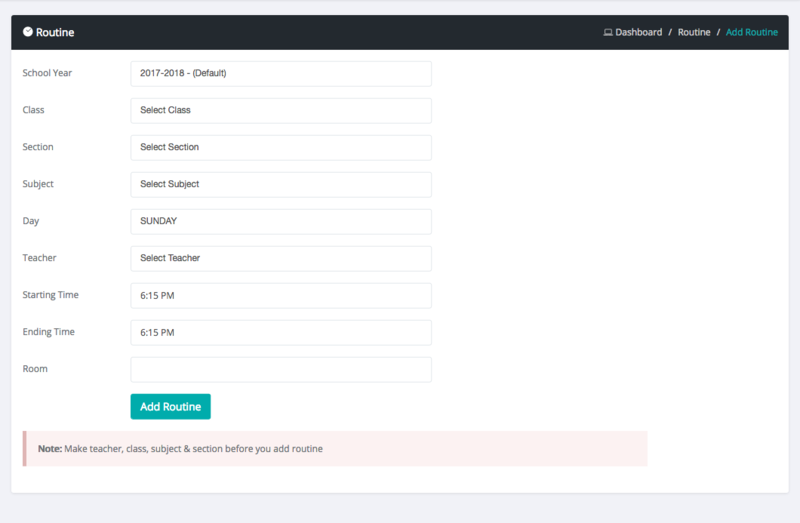 + [Feature] Add calender in all users type dashboard.